Thank you very much for the nice QRVing! 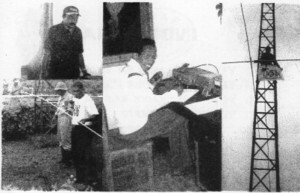 Joppy-san. 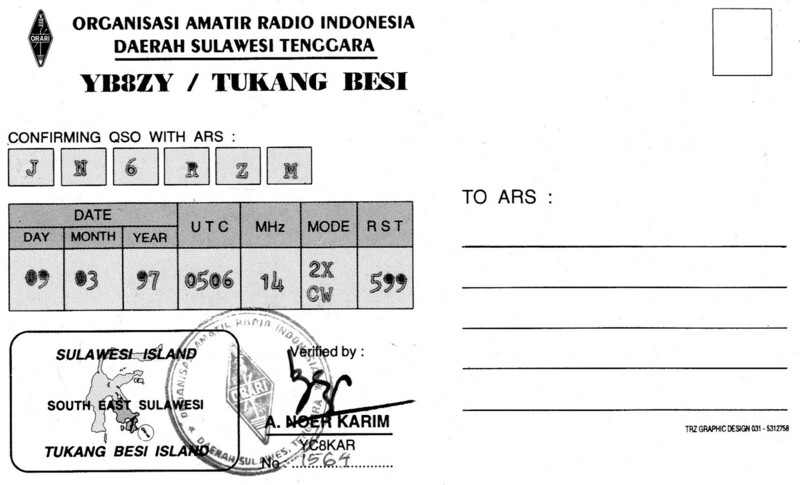 Thank you very much for your big signal from Ambon Island. 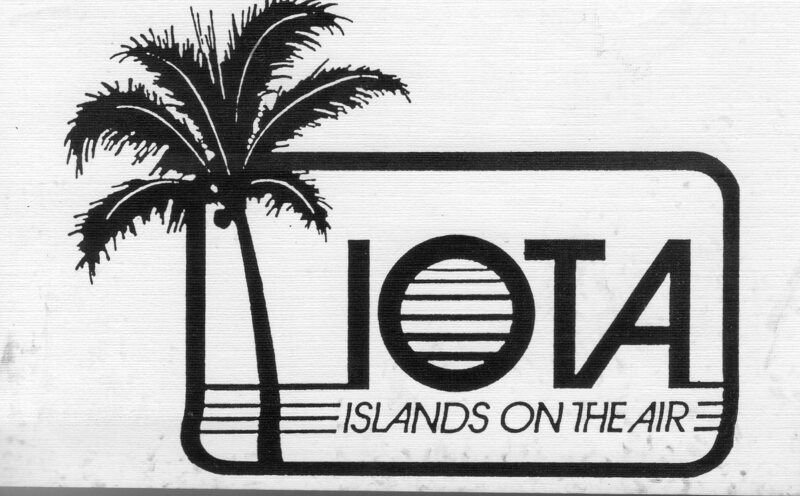 I am very pleased to make a contact with you yesterday for my IOTA Marathon. 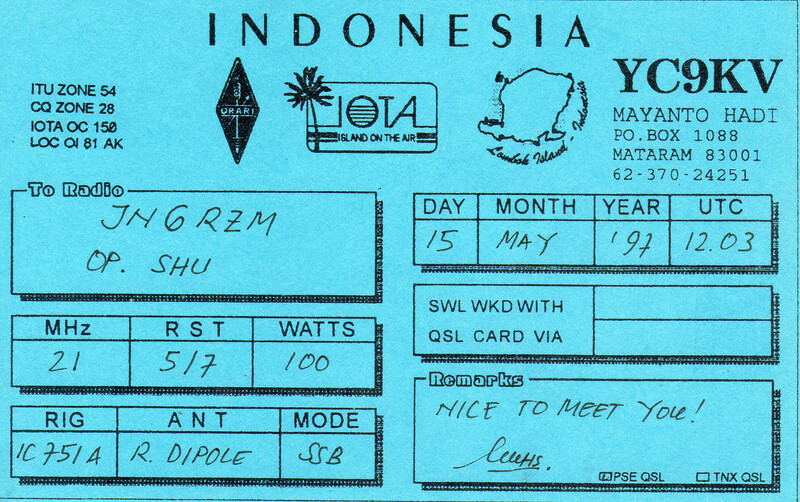 I would like another band QSOs but many stations calling you. 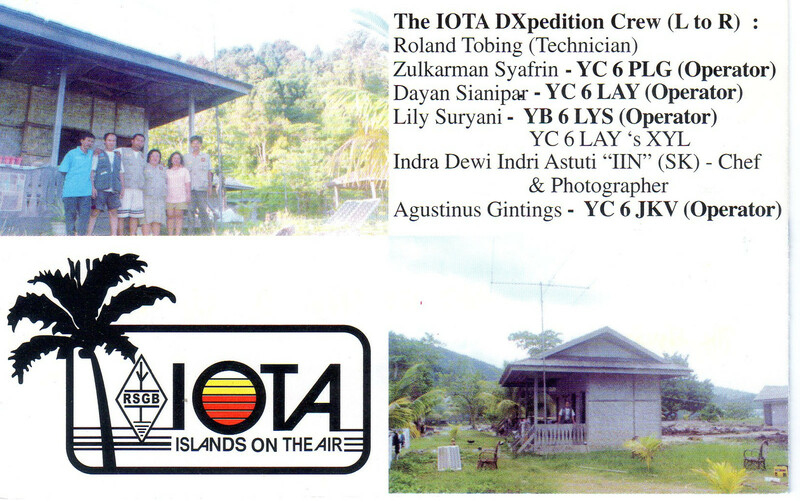 Your OC-070 operation is very important for IOTA chasing from all over the world. 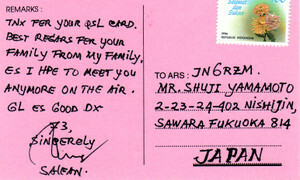 And Nob JP1EWY also contacted with you, I am very happy. 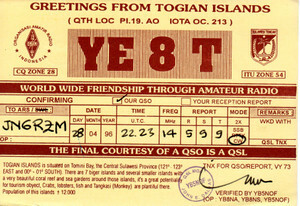 As soon as, He will send you his FT-847. 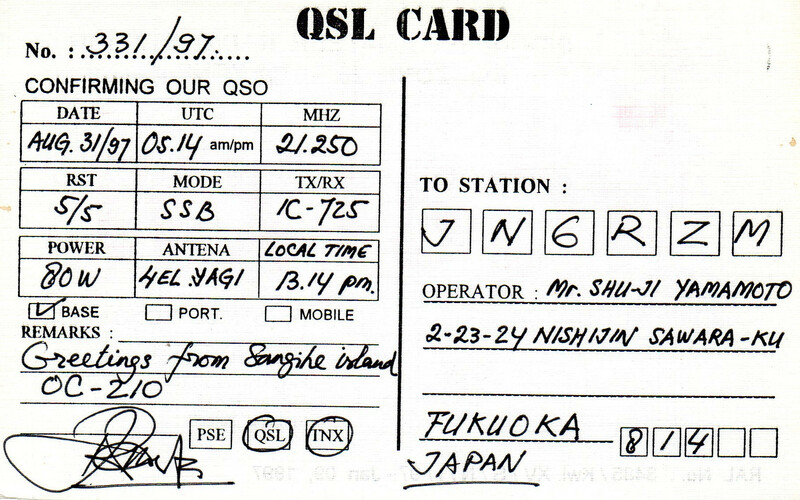 Also Nob is very interesting. I don't know for your Sked in OC-070, if you have a chance, please be QRV onthe air. 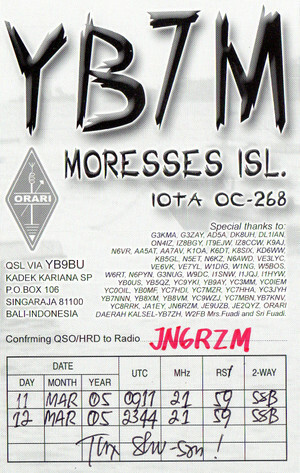 thank you for QSO last night. I am happy to meet with some of the station from japan. 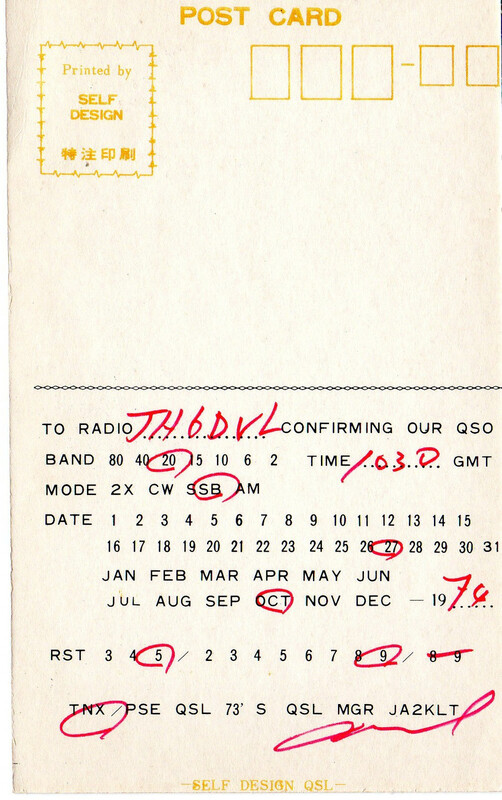 Possibly, other times there will be more. How does your condition now? 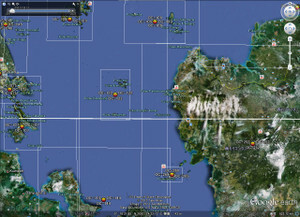 now I've arrived in Ambon. 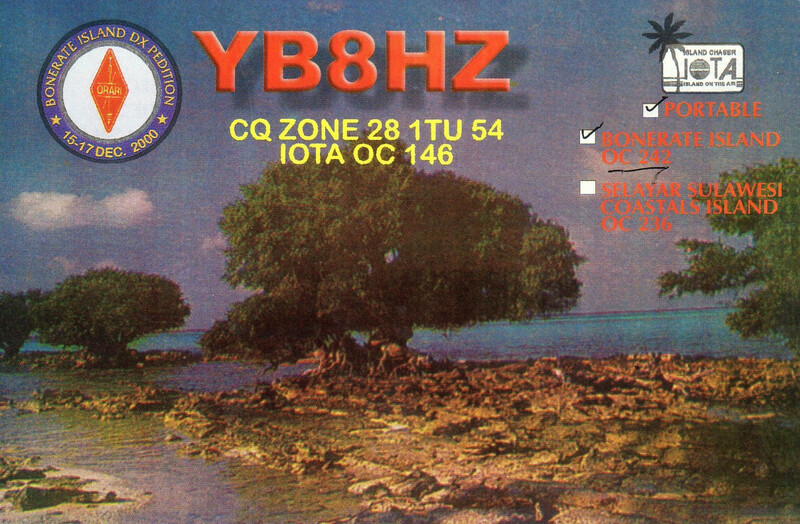 YB8Y successful QSO with a station 20 031. 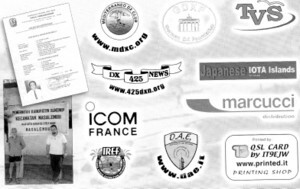 Lots of Japanese station in contact with us. 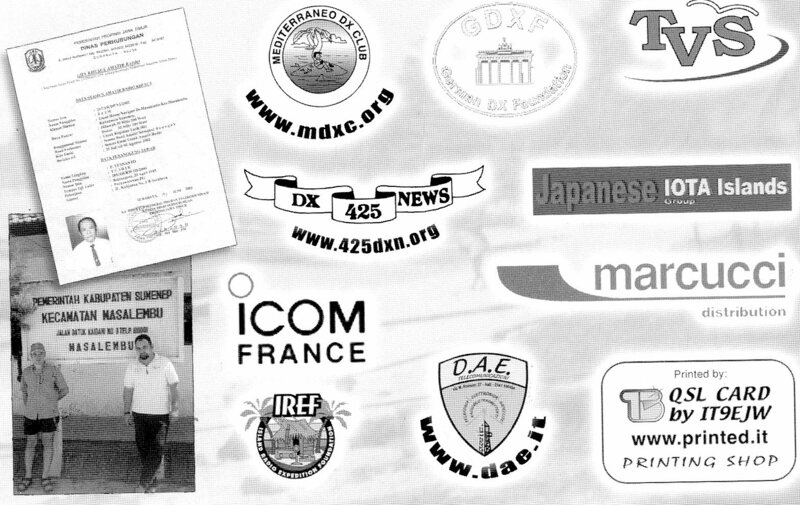 We hope the Japanese colleagues have met our satisfaction. 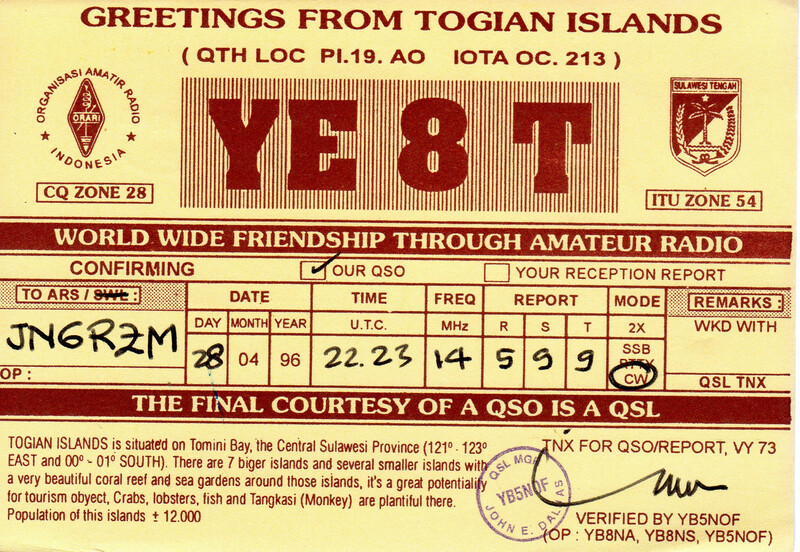 Contact your own time with YB8Y 3.
greetings to you and see you. 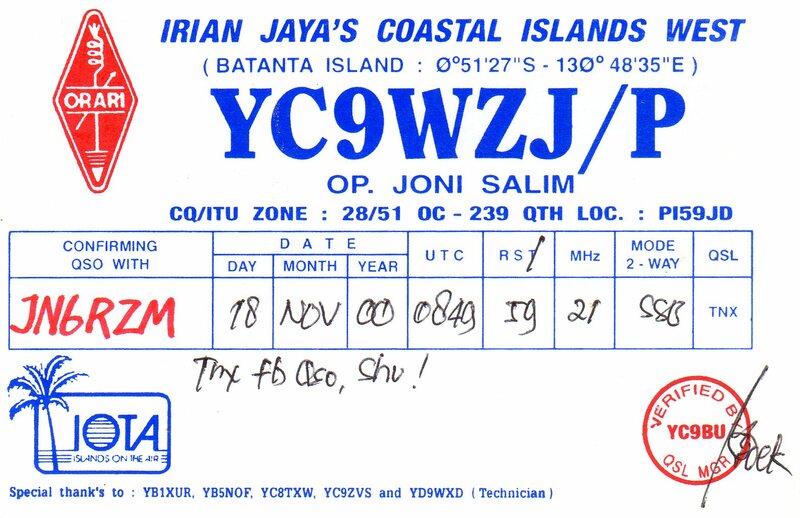 JA6LCJ was VERY LOUD - 59+ !!! 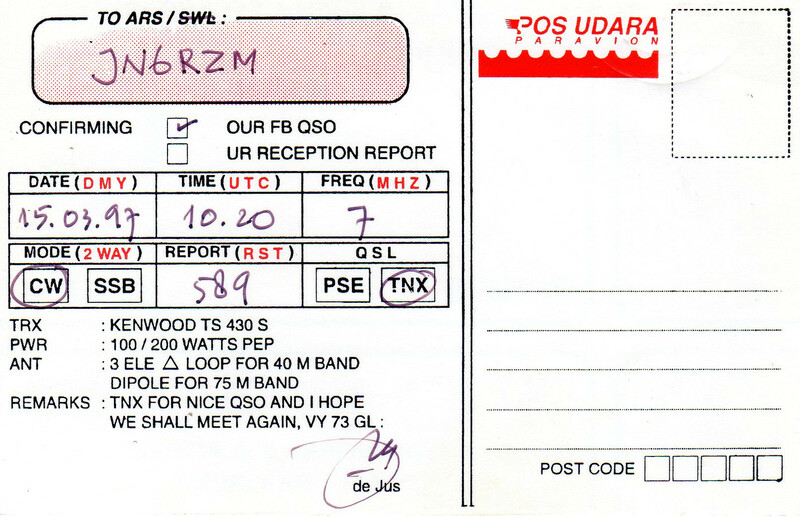 TNX FOR THE AS-012 QSO !!! 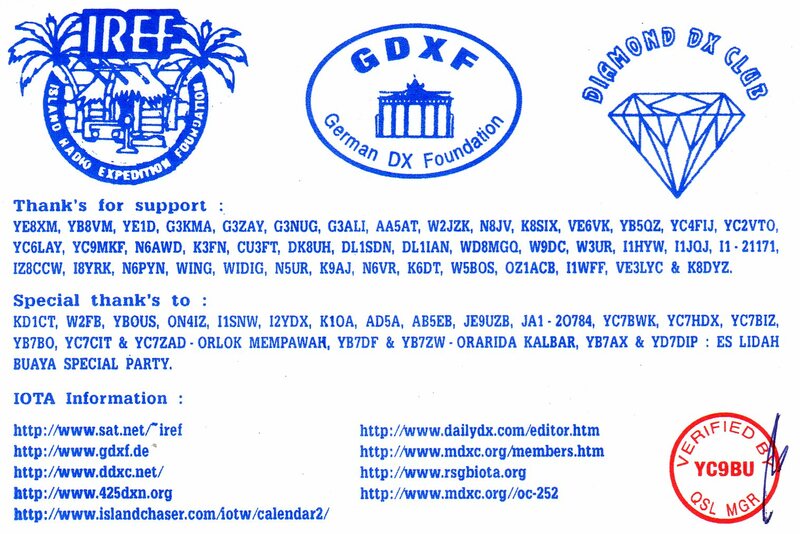 > Thanks for your e-mail. > I'd like to 40/30/17/12/10m for OC-143 Smatra Island. 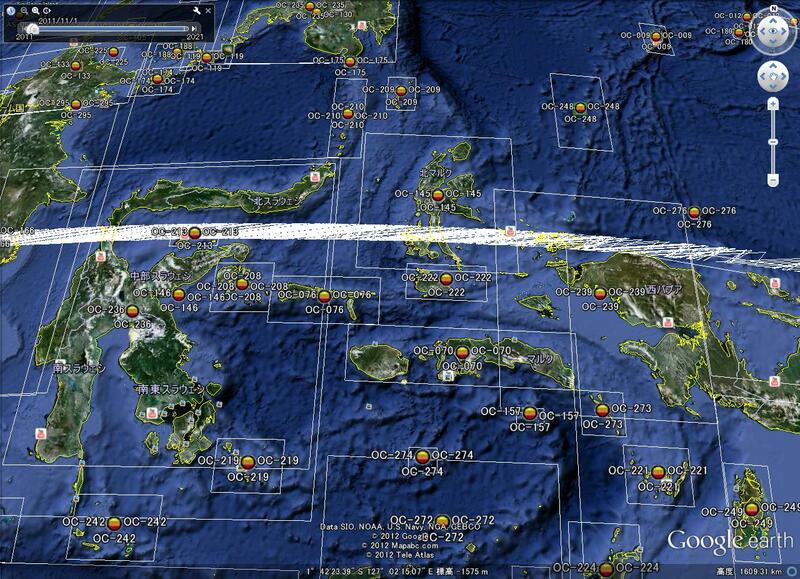 TNX VERY MUCH for you FB assistance, Shu !!! 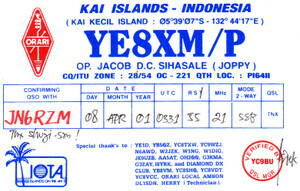 He is good operator YB8XM Joppy. 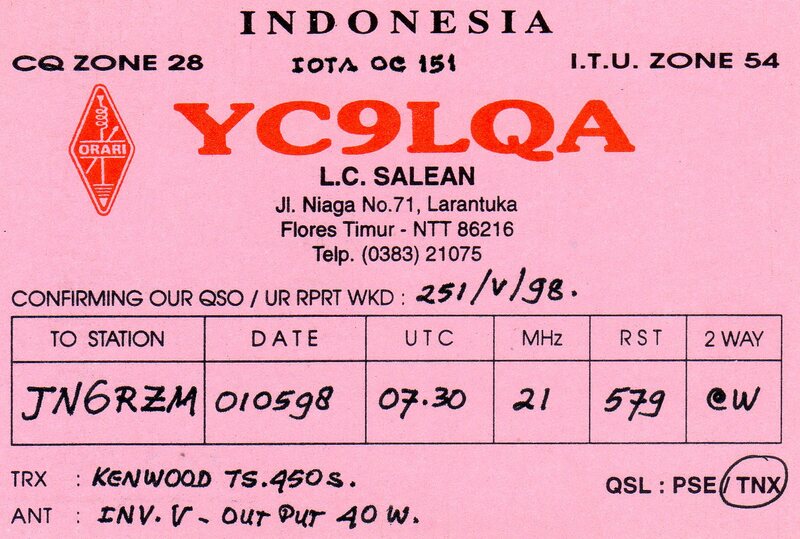 YES ... TNX ... JUST QSO'd ... he was 549 here . 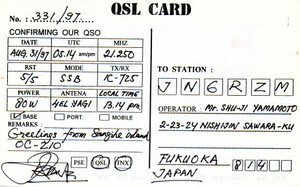 メールタイトル　QSO WITH JAGVAG !!! 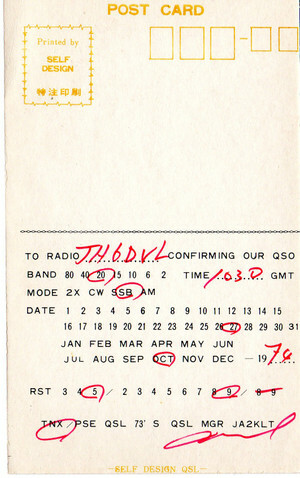 Band condx are NOT good. 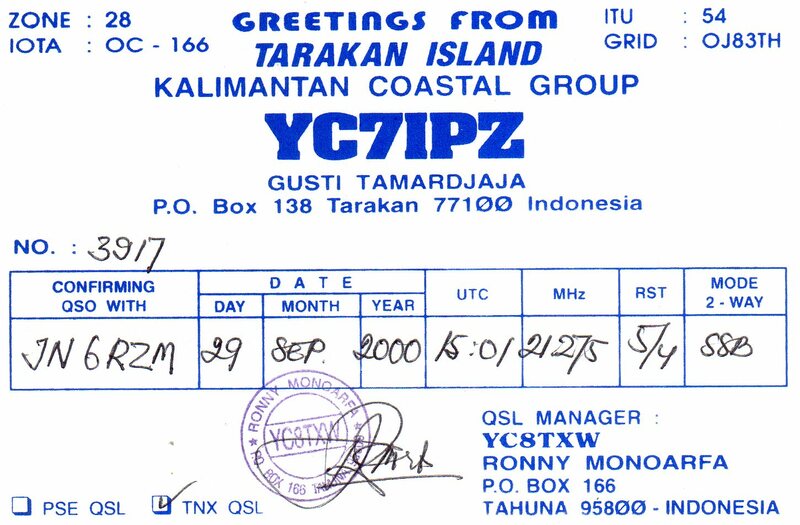 1GSで発信、1998年1月3日に回収しました。ログには Chis Box1 SAUMLAKI 97664 Tanimbal Is. 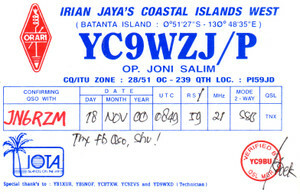 exactly 0200 to call JA6VAG! 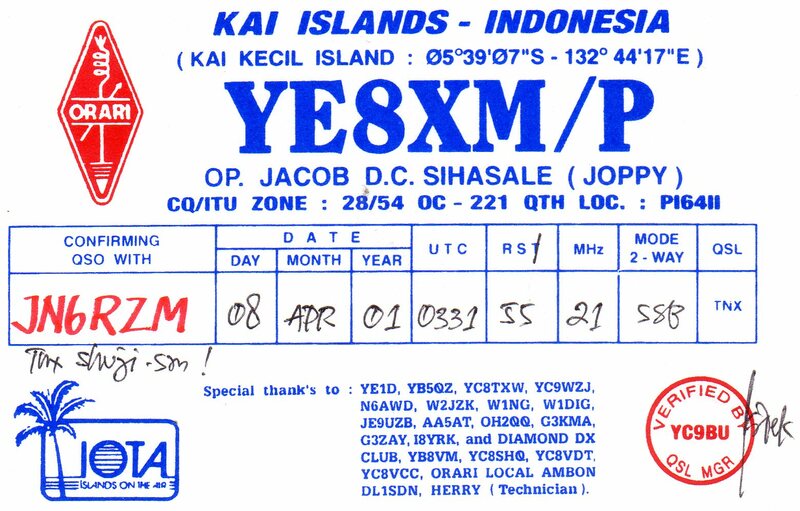 Several calls but I could not hear JA6VAG. 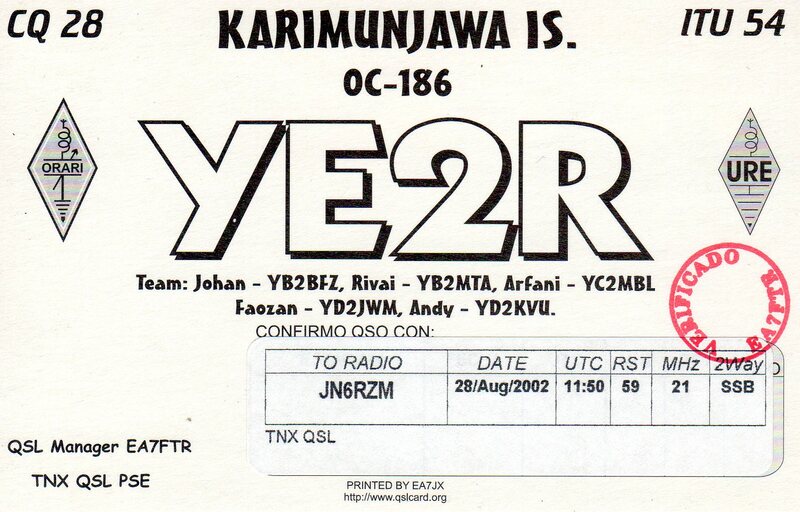 So I QSY'd to 21.262.5 and called JA6VAG many times, but could not hear him. 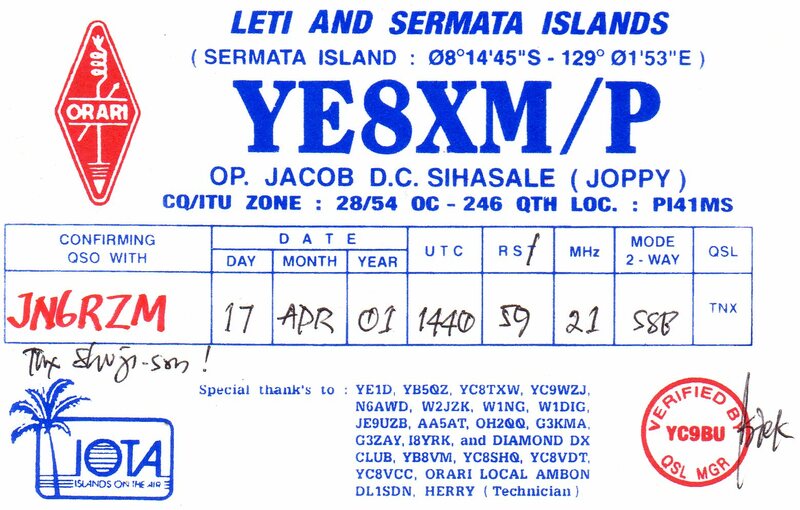 I could hear other JA stations on 15m SSB, however. 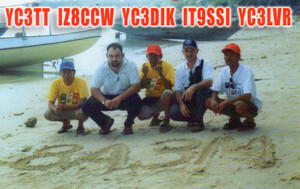 > YD1JZ is a member of my team. 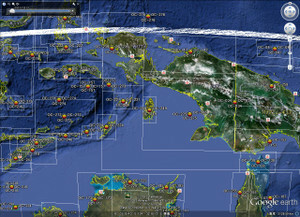 is very far from Ambon - Maluku province. 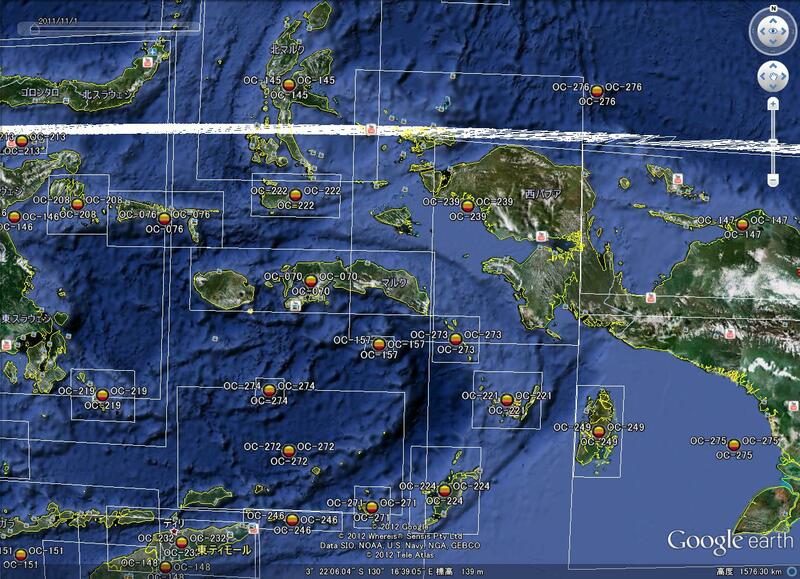 > If time and my equipment is available. > So my plan itself and not with the team. 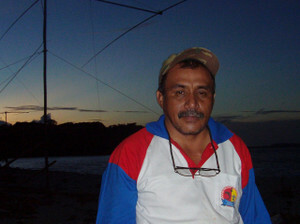 > because I prefer to work alone does not require a lot of money. 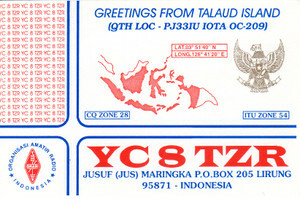 > ok greetings to you and your friends. 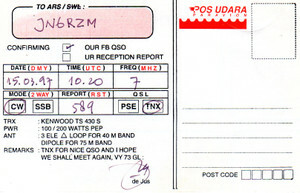 Great to have your return response so fast. 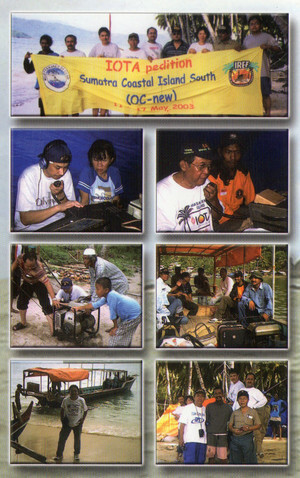 No problem for OC-221 if there is no donation from your side. 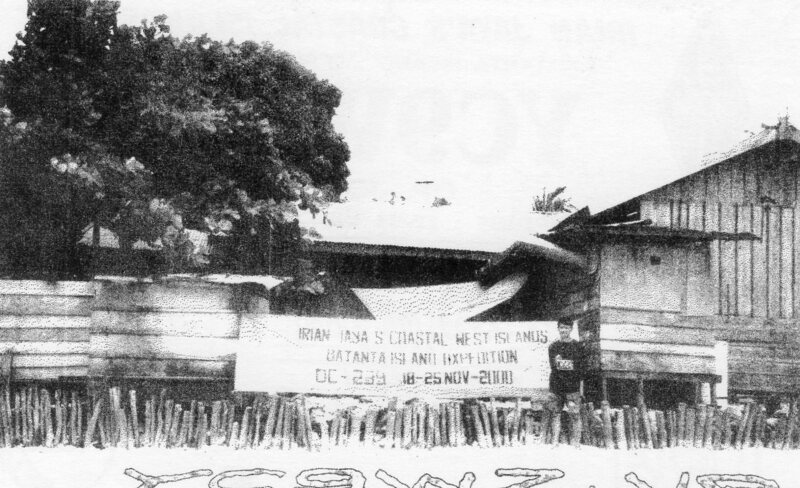 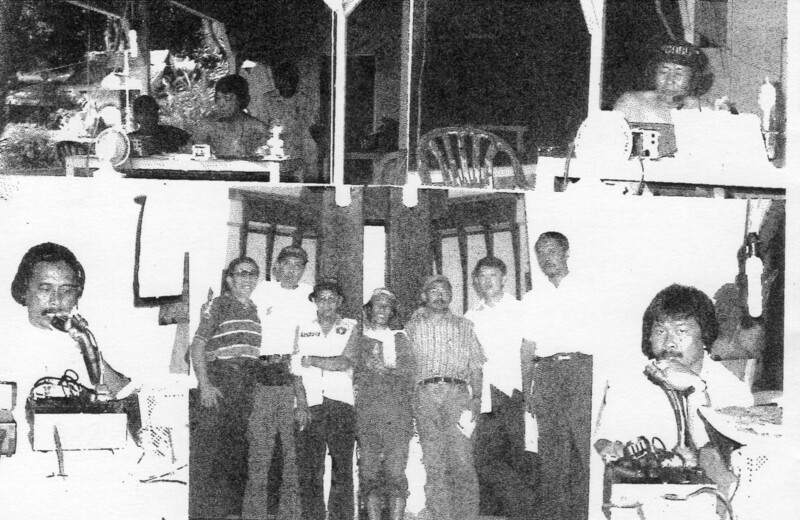 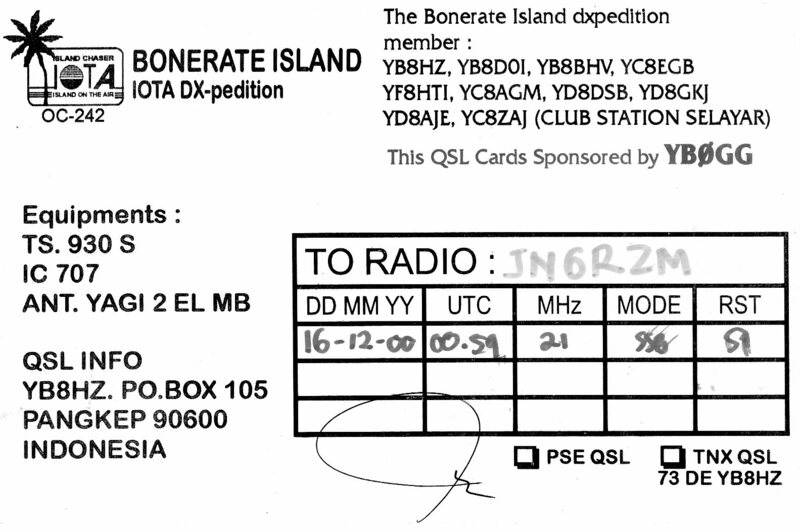 Hope we will able to make another dxpedition to Banda OC-157 in near future as Banda is already in our planning as well. 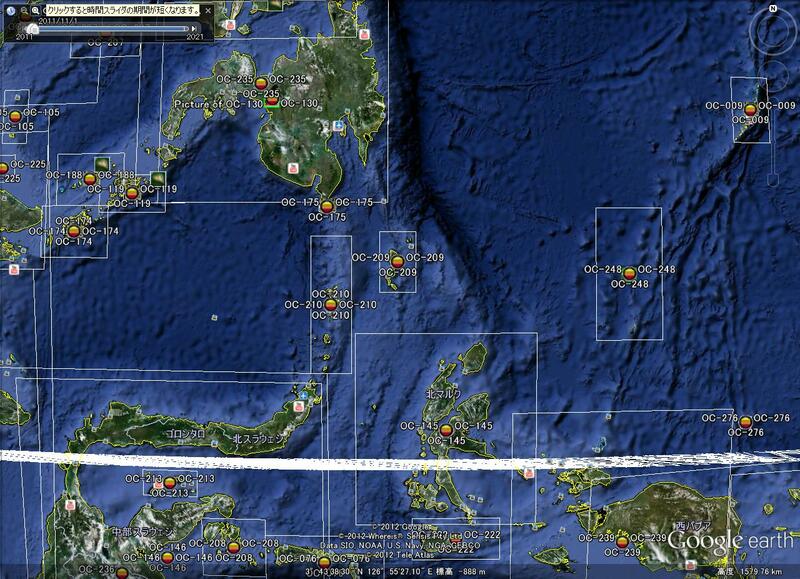 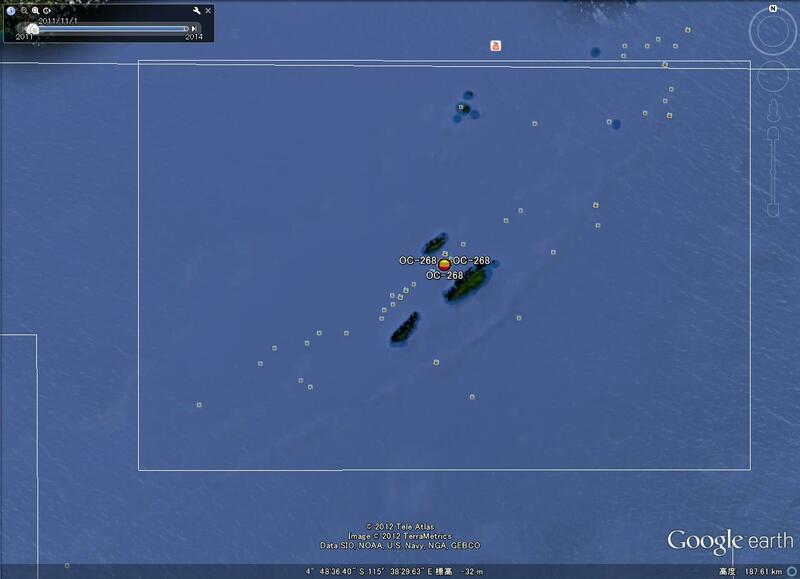 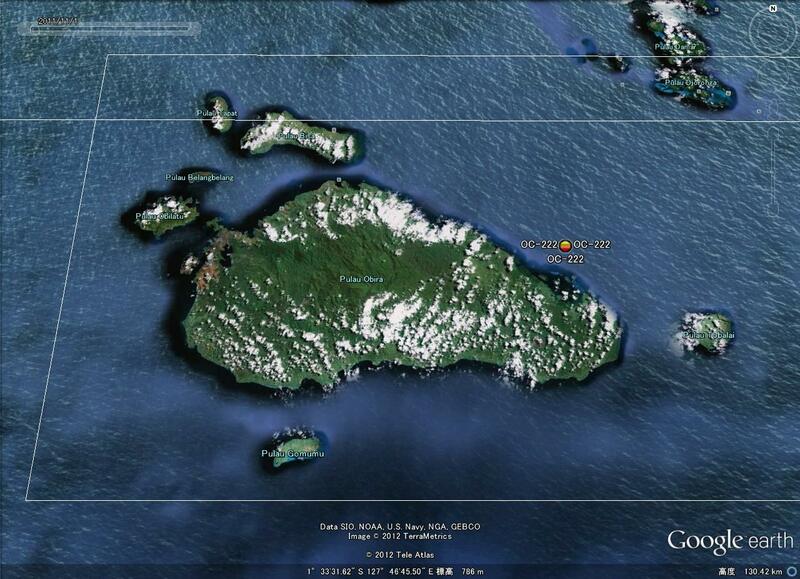 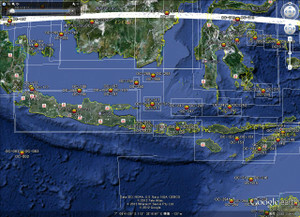 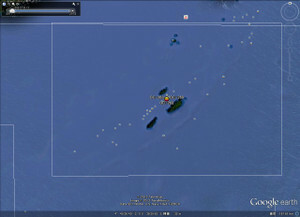 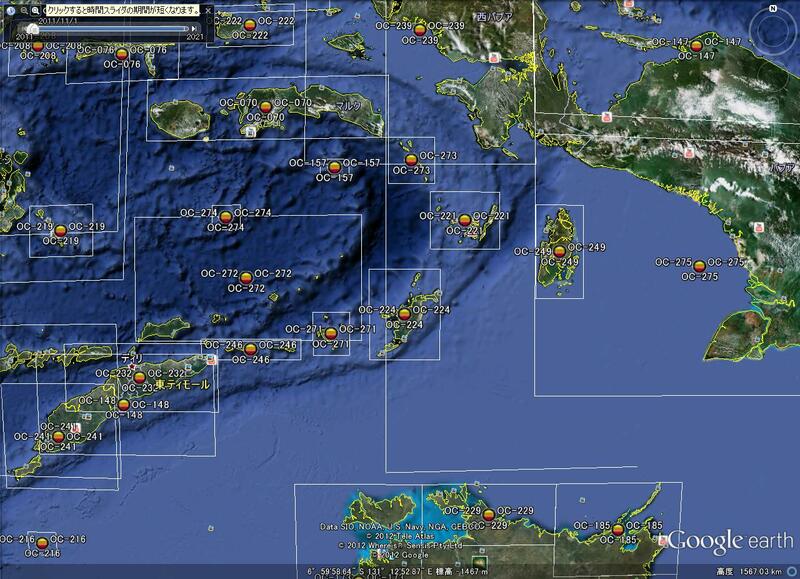 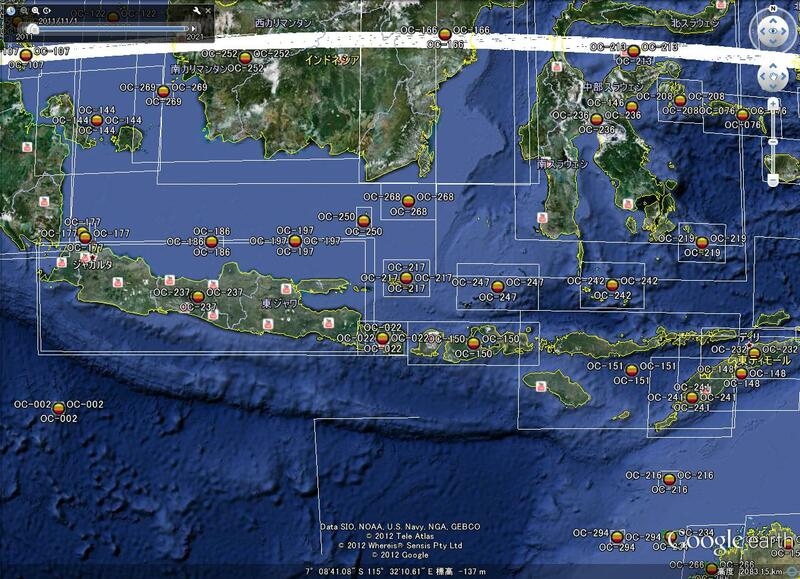 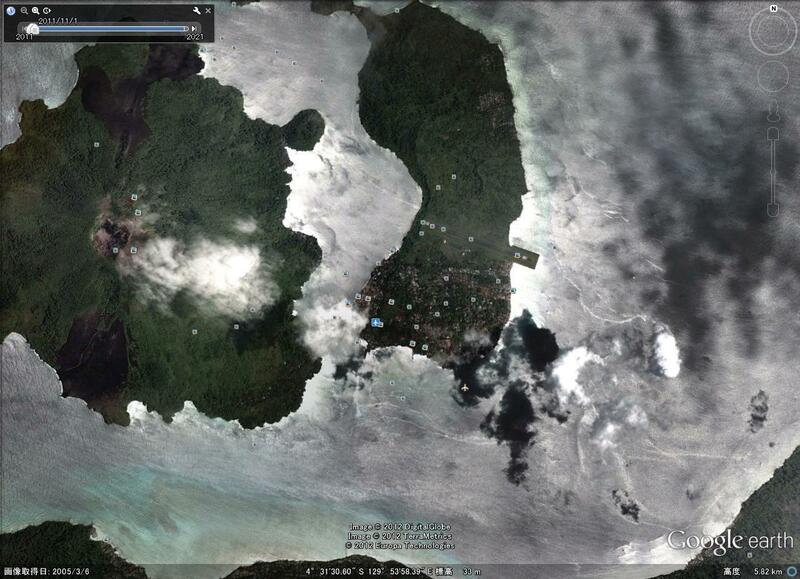 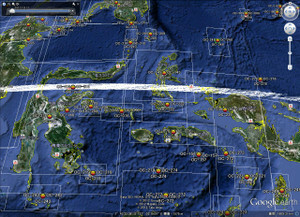 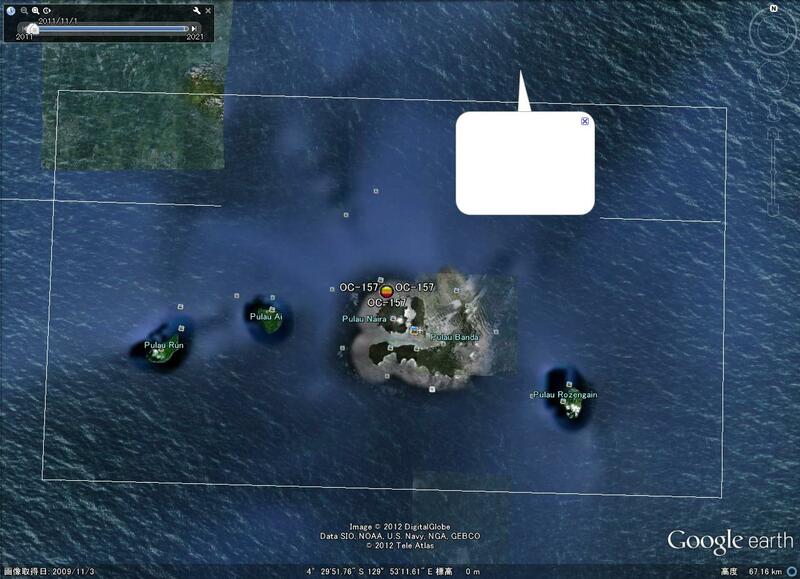 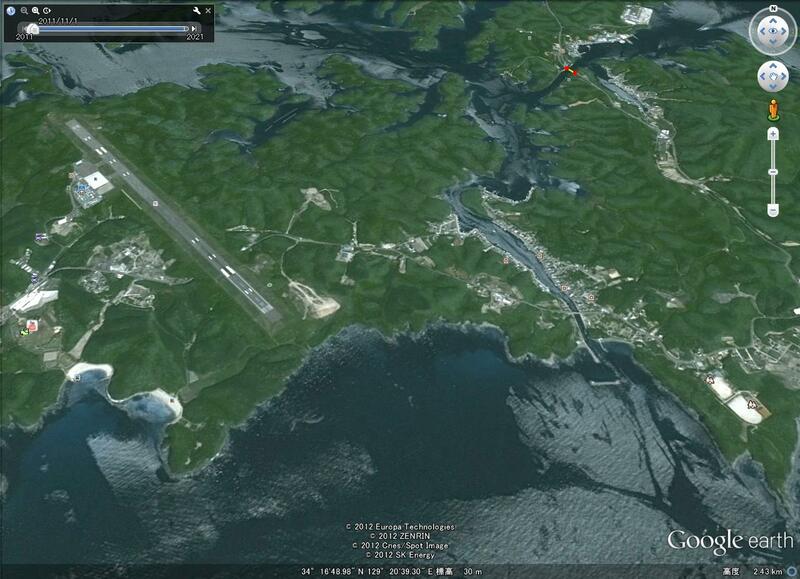 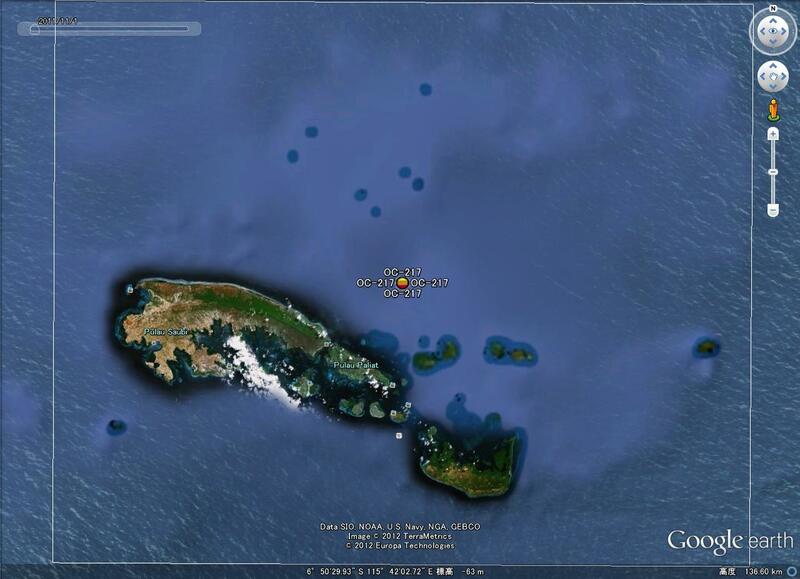 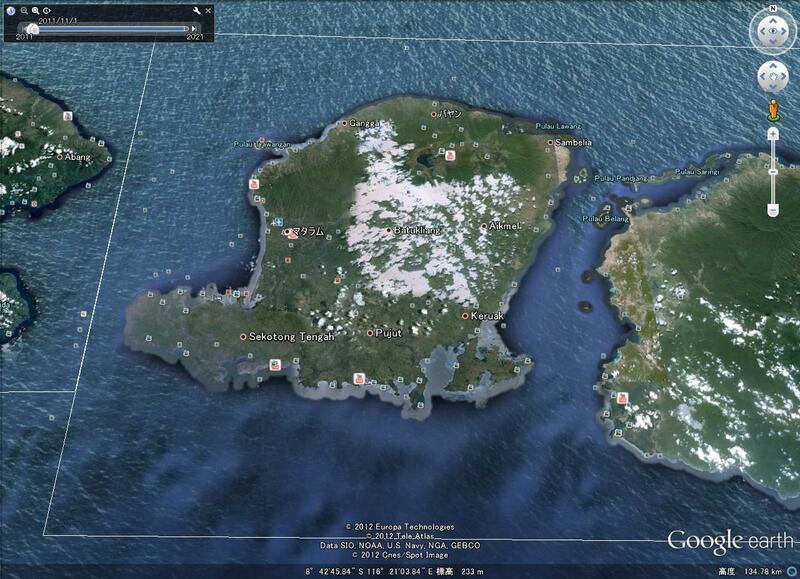 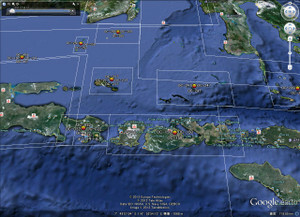 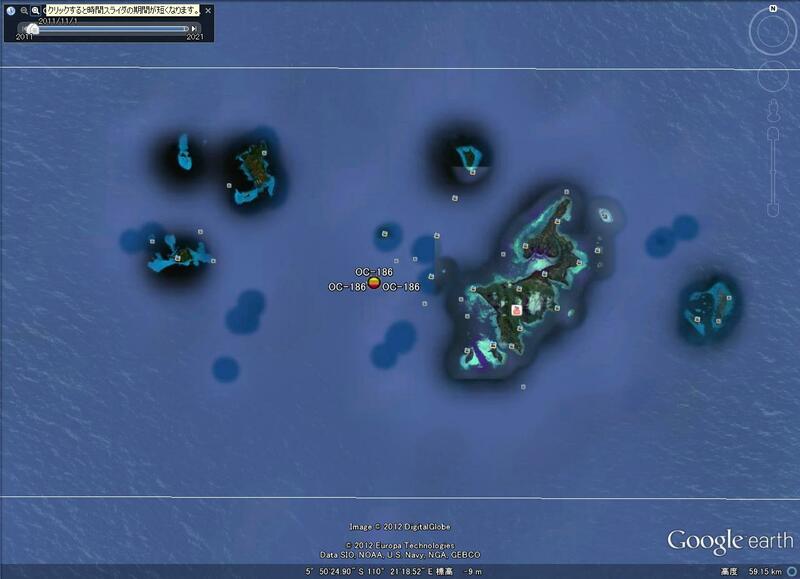 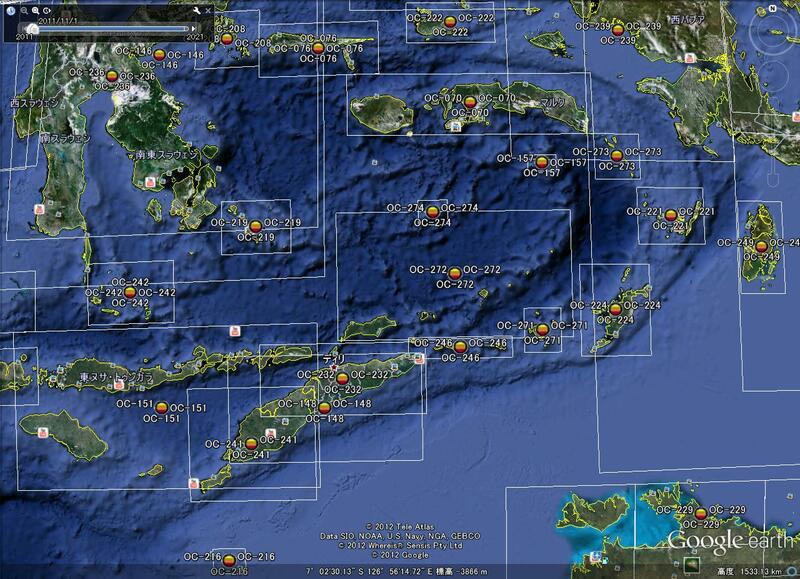 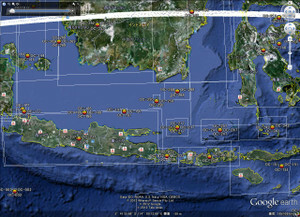 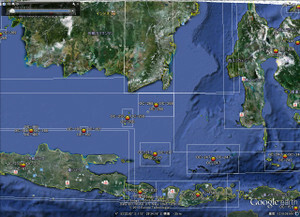 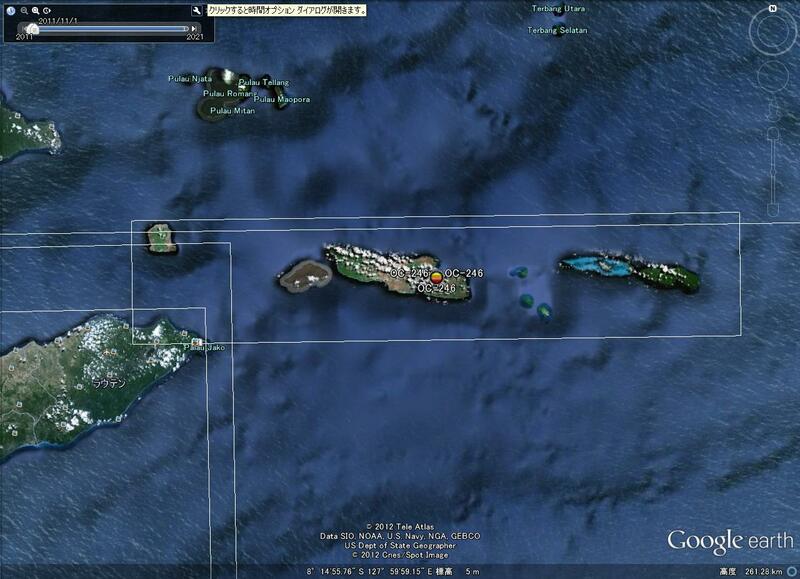 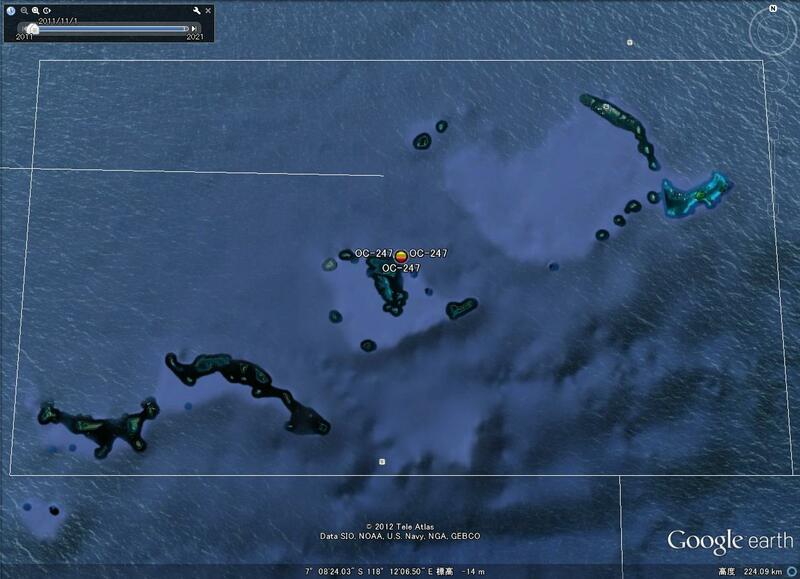 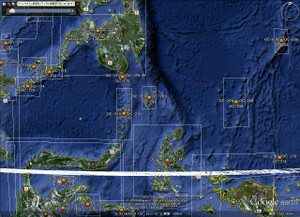 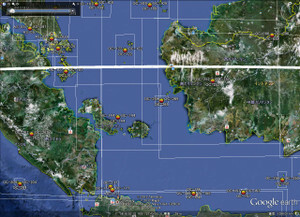 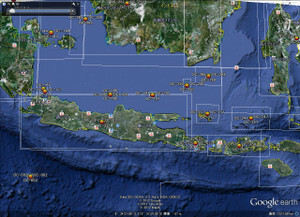 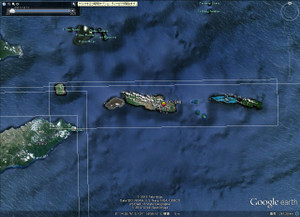 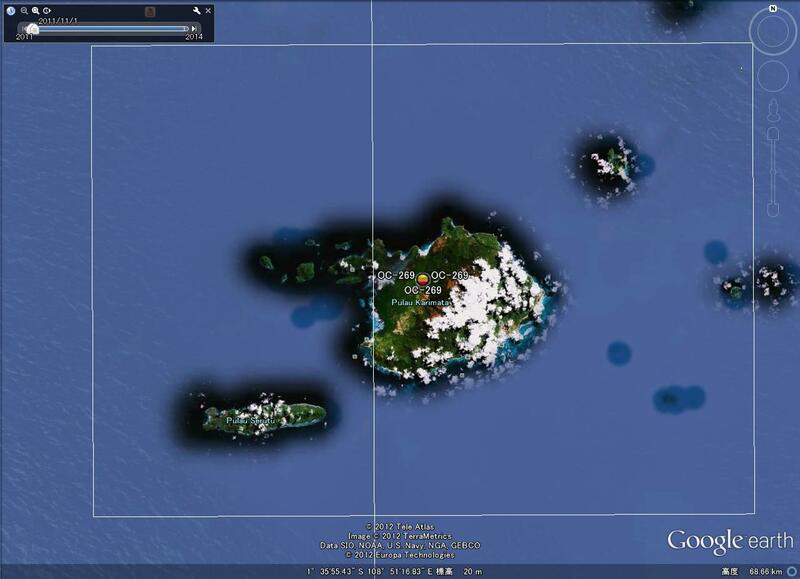 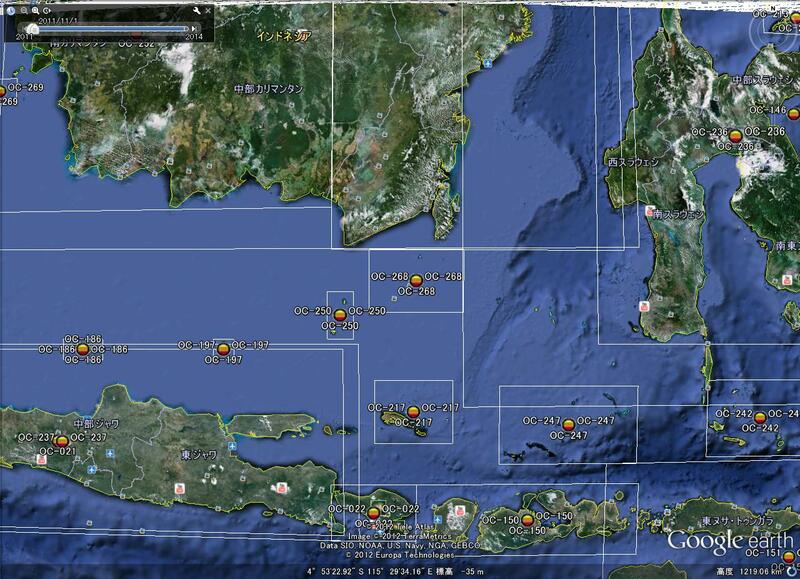 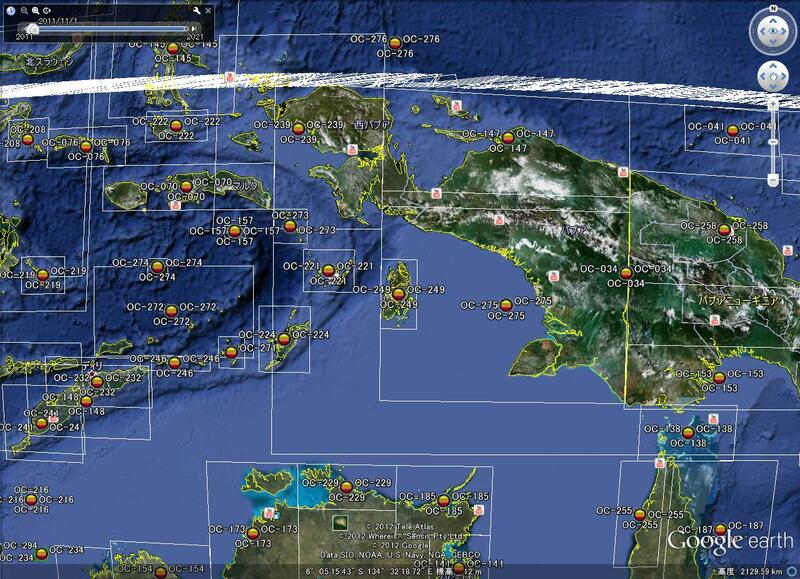 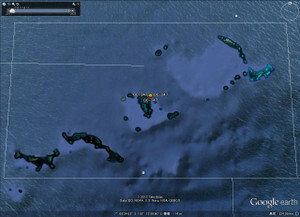 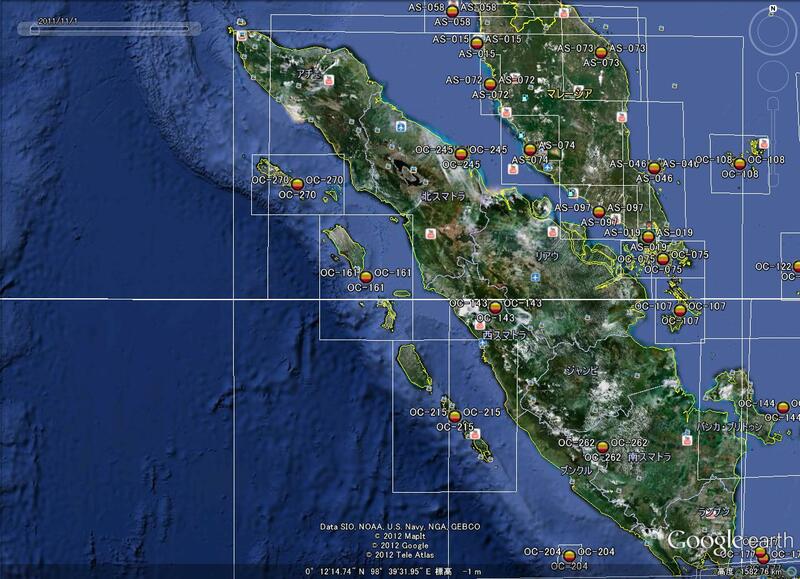 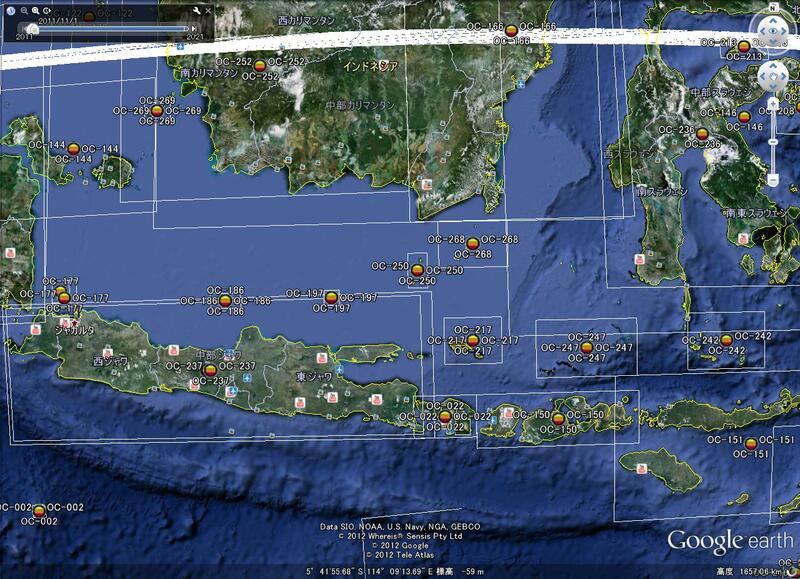 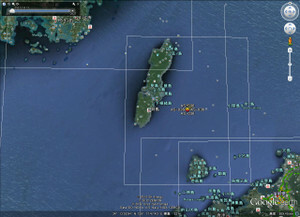 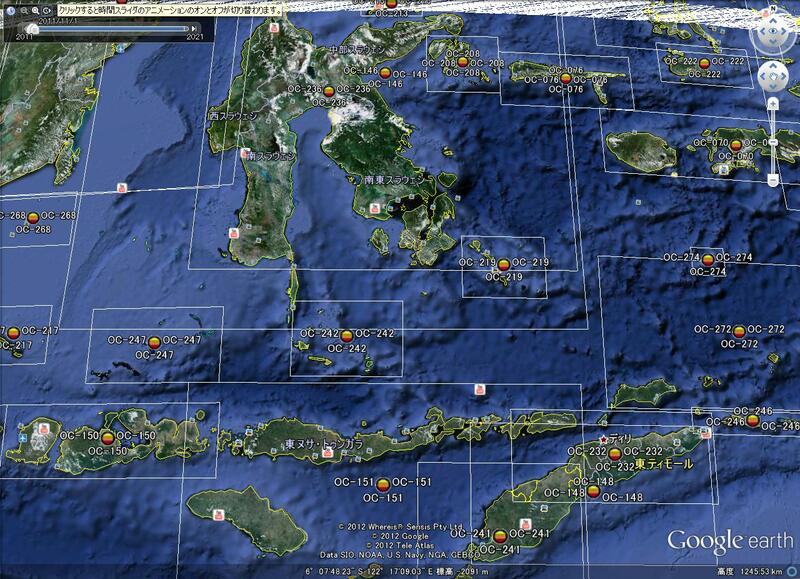 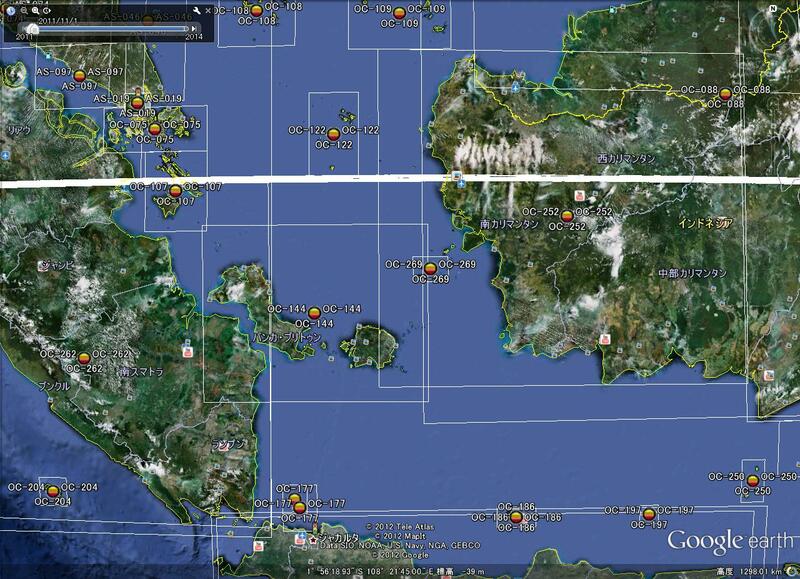 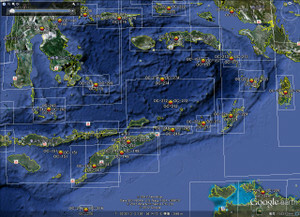 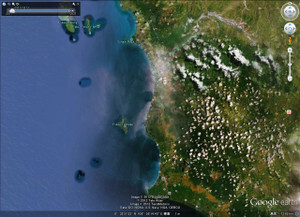 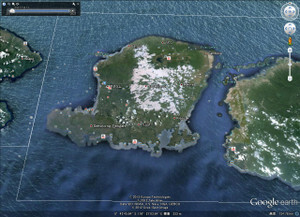 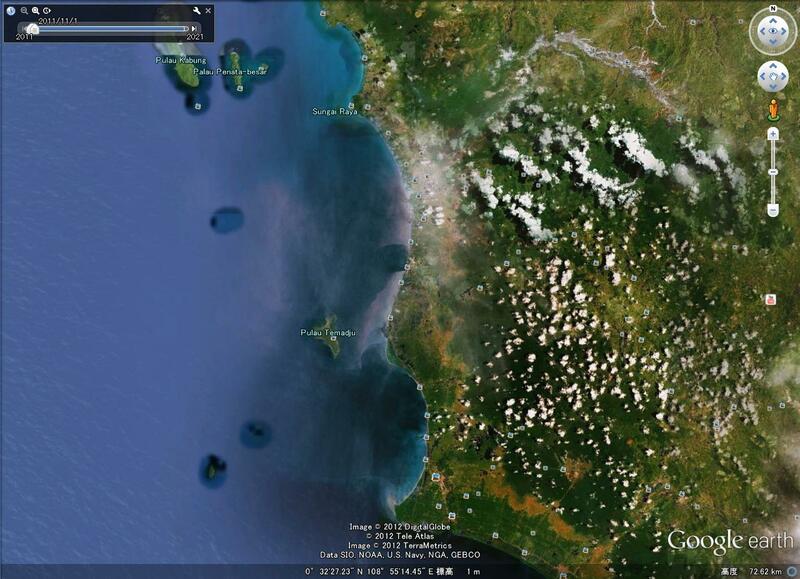 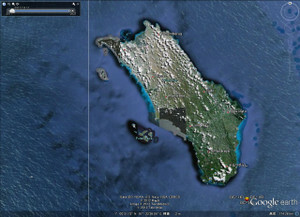 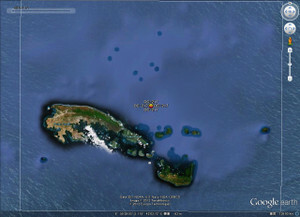 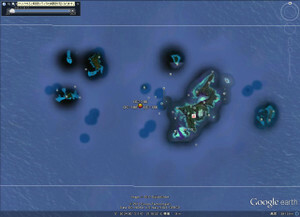 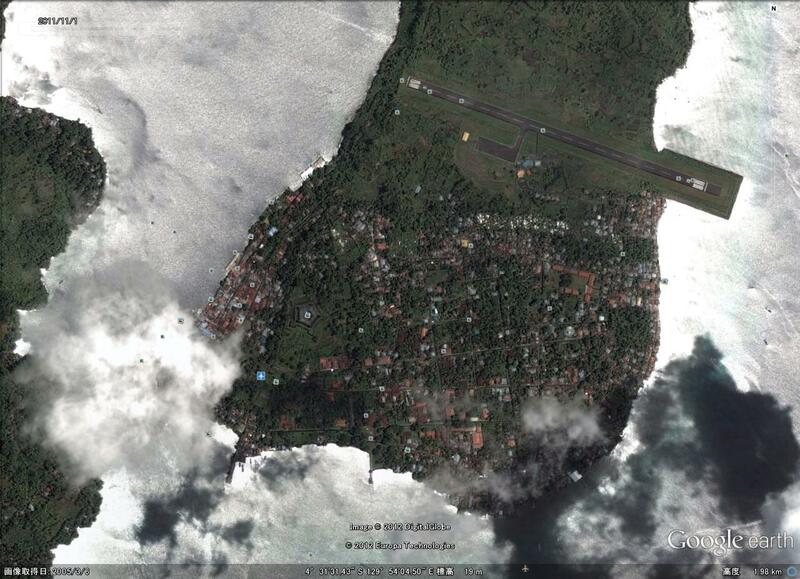 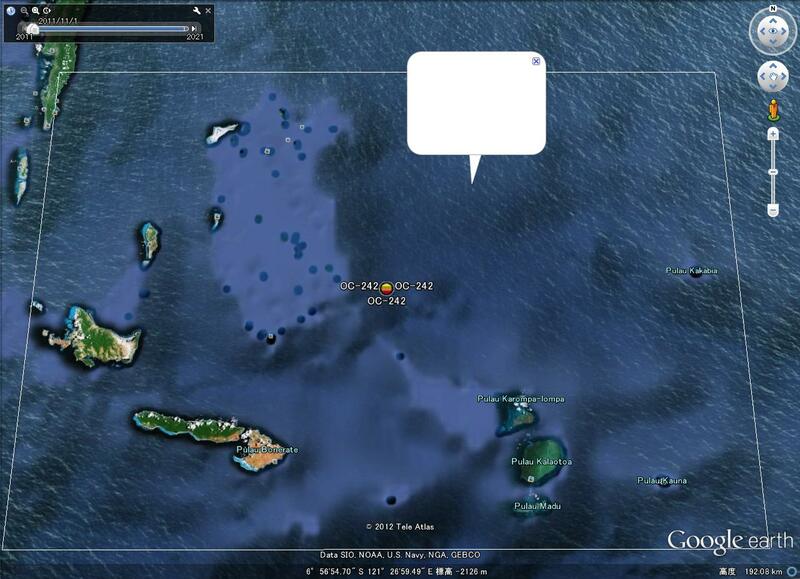 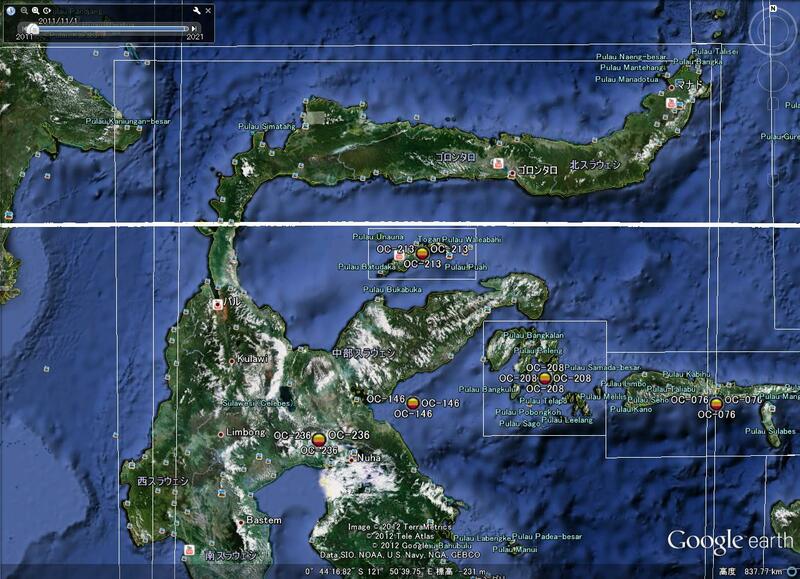 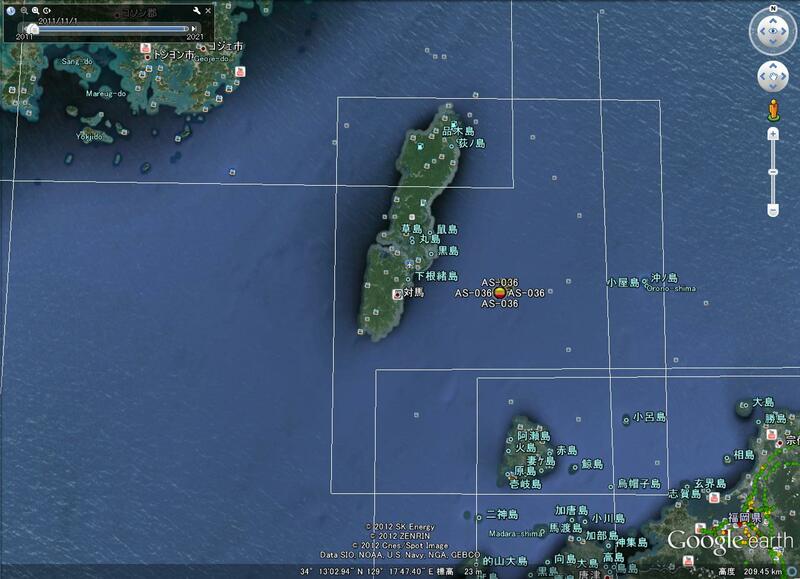 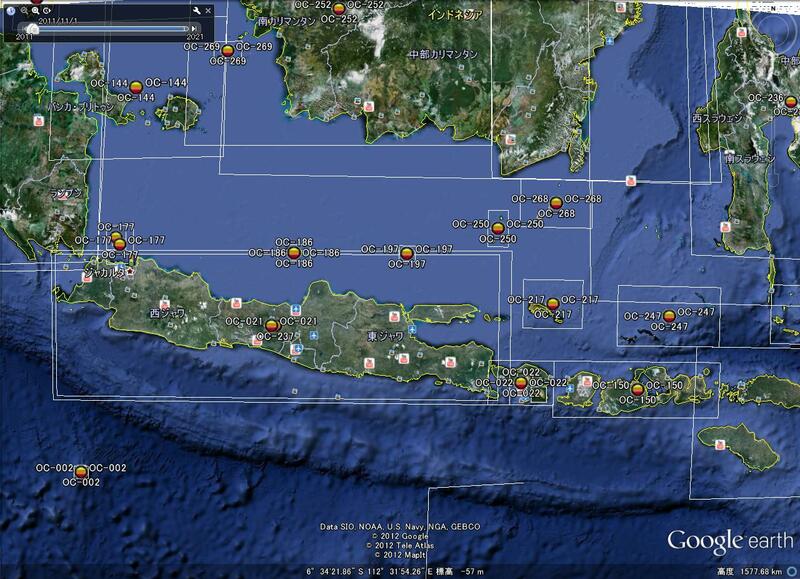 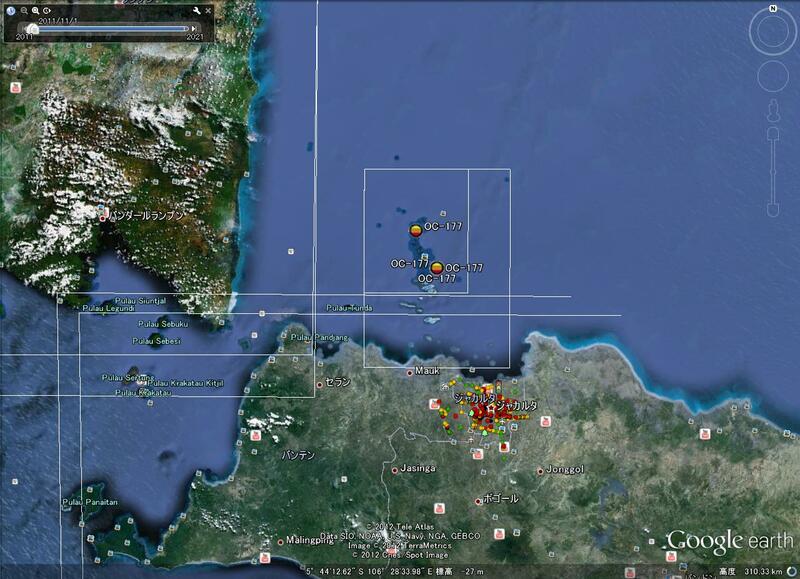 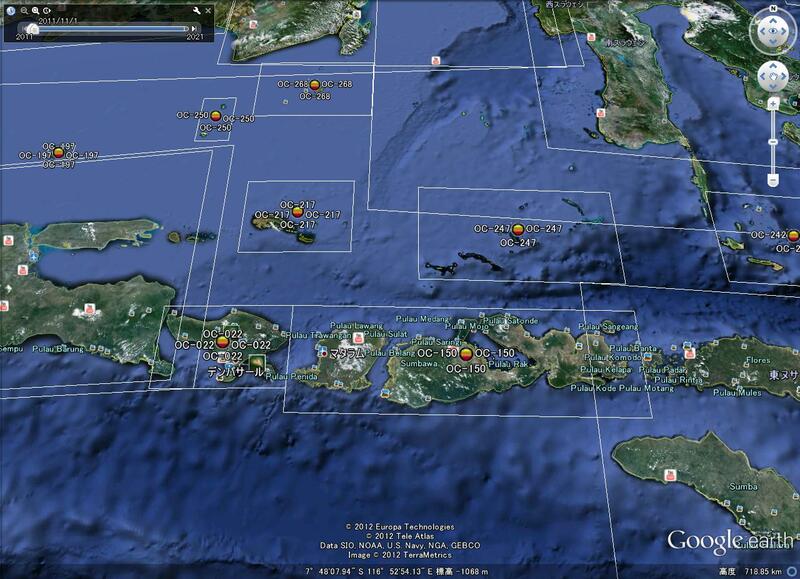 Also Mapia islands OC-276 is one of our target. 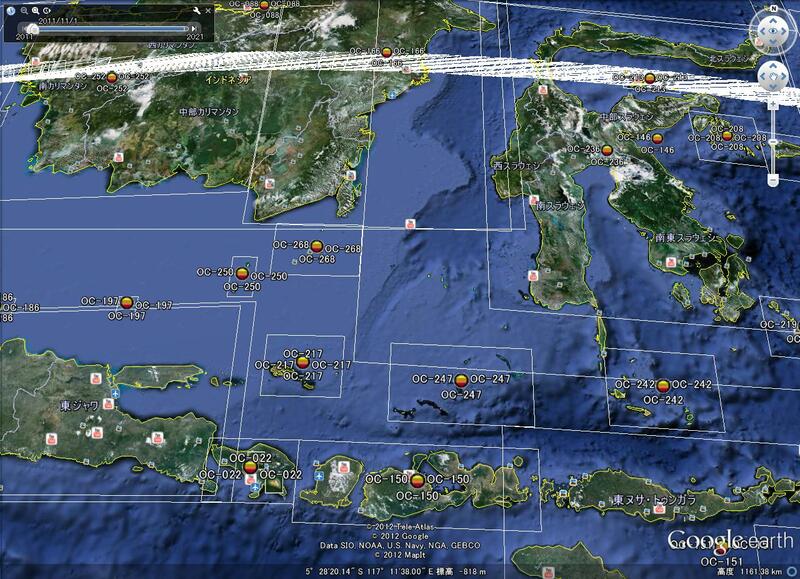 If we will have trip to OC-157 or OC-276, will you interest to join us? 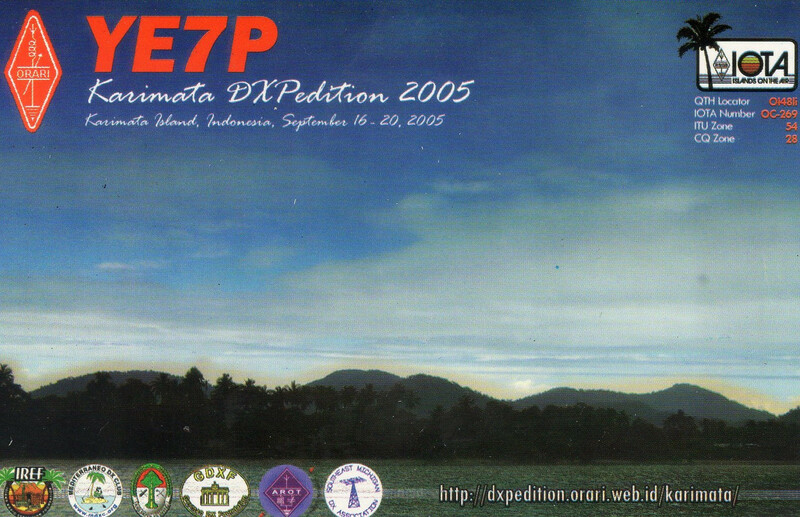 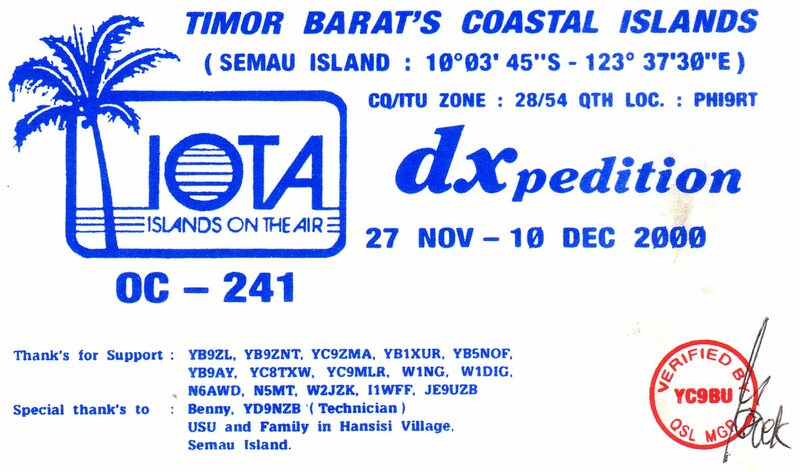 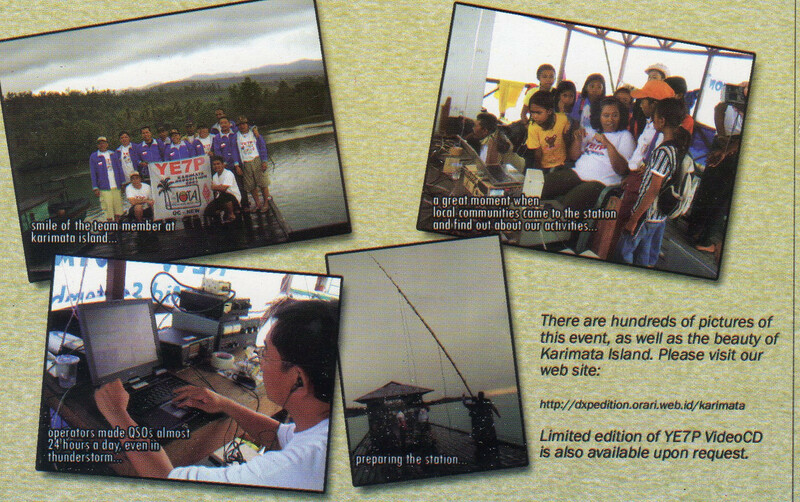 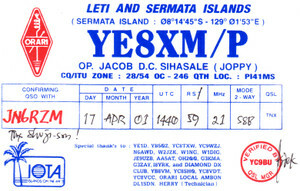 Or you even may join us in this dxpedition OC-221 this month if you have time. 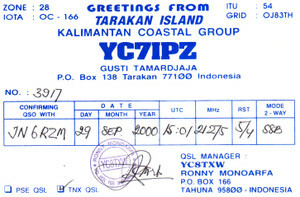 Have a good day and let's us keep in contact. 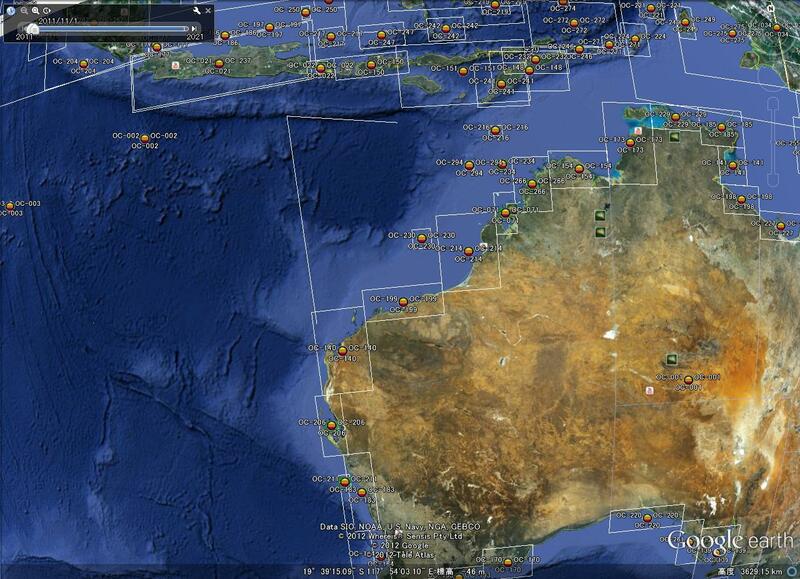 has decided that the risks are too high for this weekend. 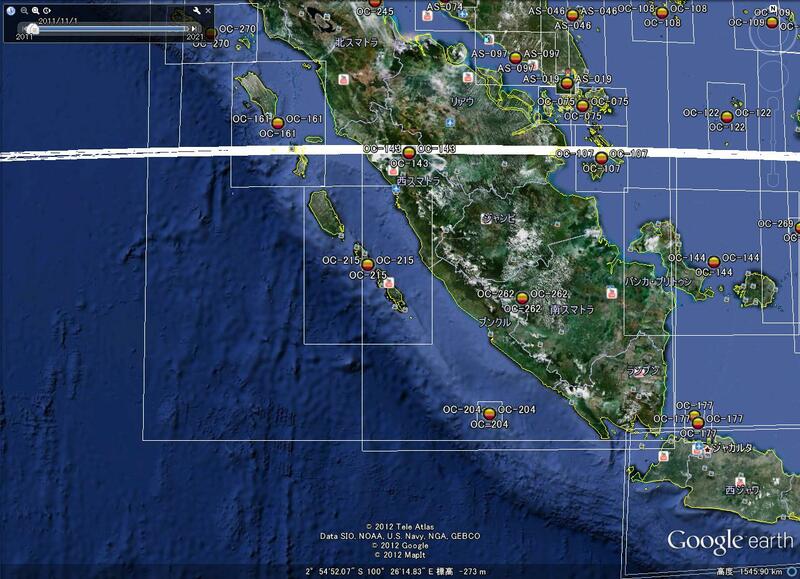 can both organise the time to coincide again. 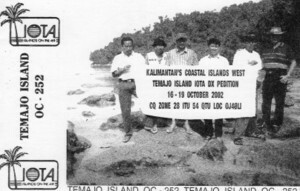 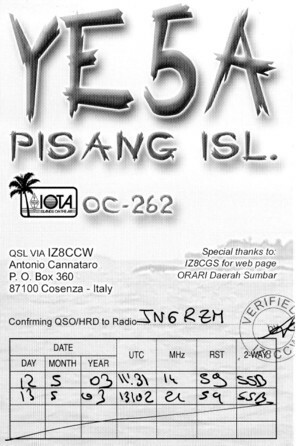 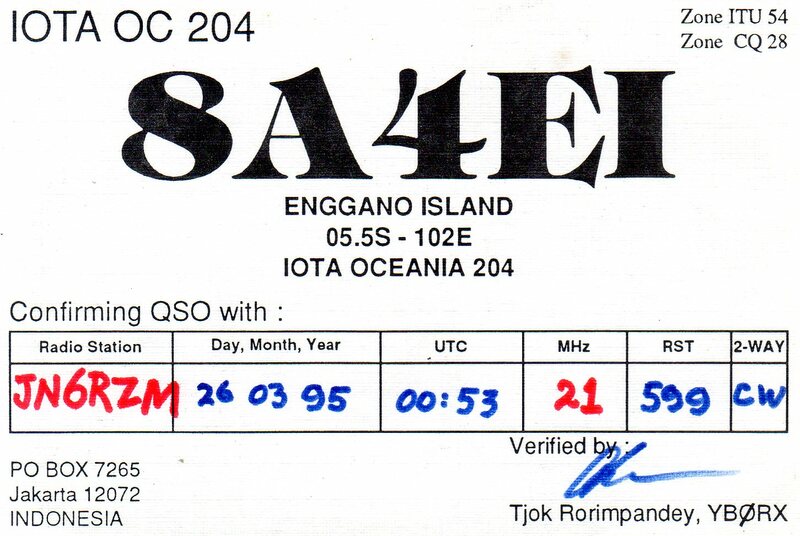 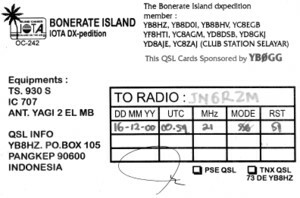 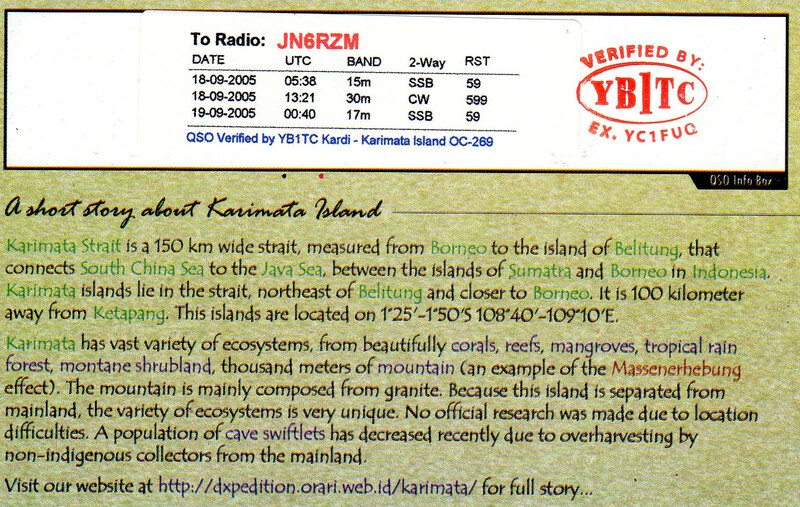 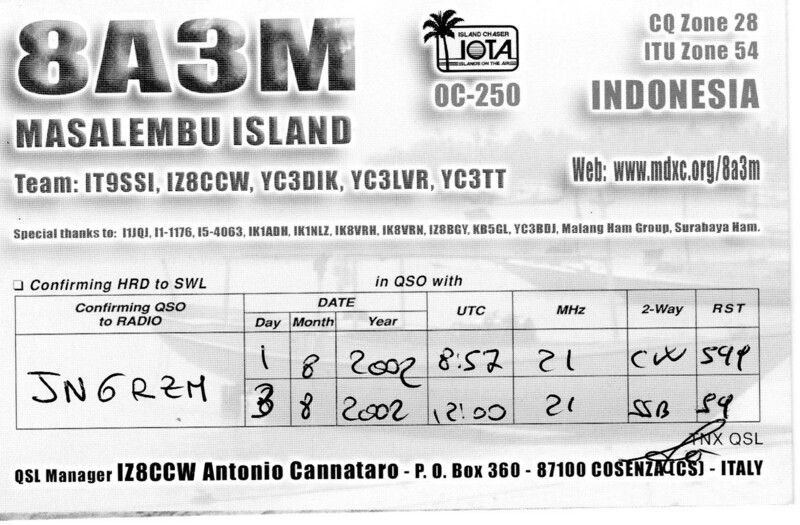 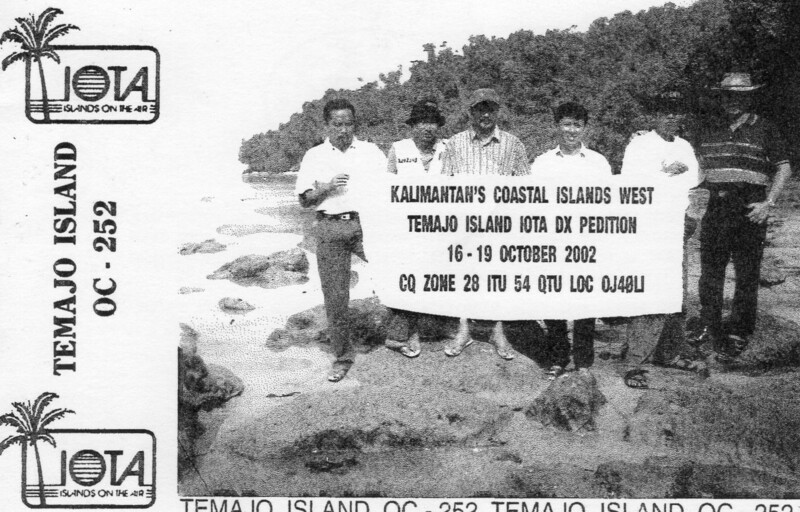 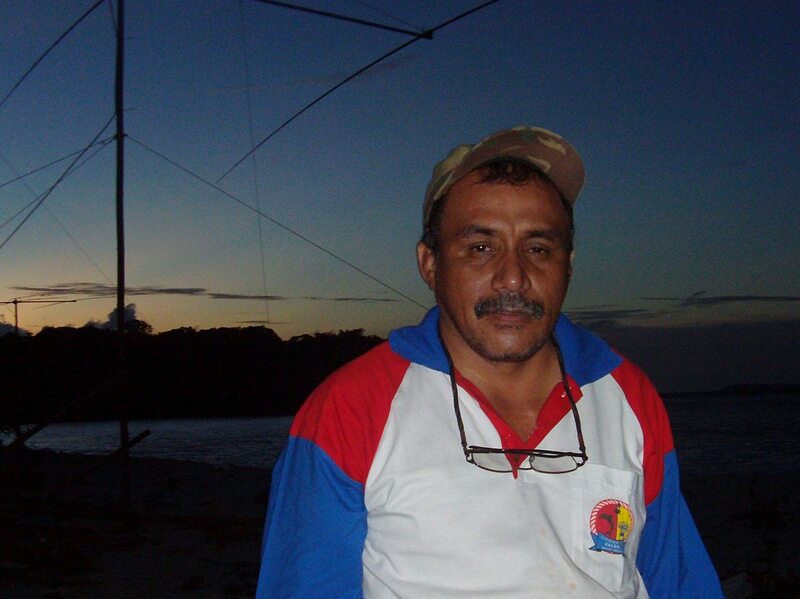 I'm pleased to announce that my next IOTA DXpedition will be to Bremer Island OC-185 on April 18 to 23 2012 using the callsign VK8BI. 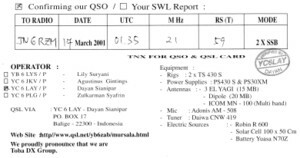 I will be running 400W into a Spiderbeam yagi for 10-12-15-17-20 on a 10m Spiderbeam. 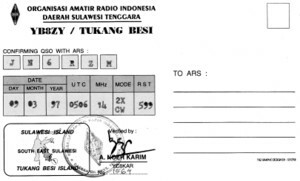 Operation will be SSB only (although I will have the capability of running PSK31/RTTY at rare moments). OC-185 was last activated in 2004 for two days and prior to that in 1999 and is only claimed by 20% of IOTA program participants. 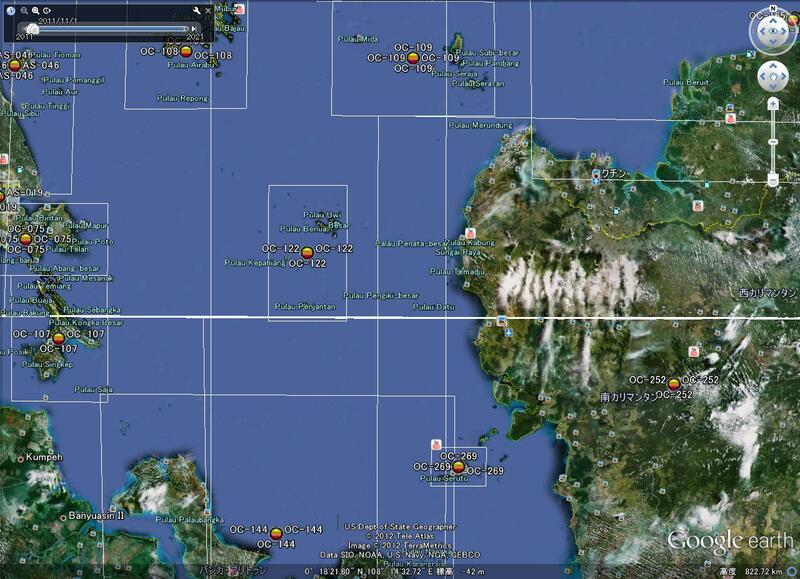 A strong focus will be on North America and Europe. 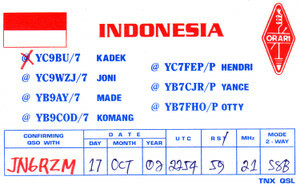 Full operation details are available at qrz.com which gives details of the blog site that outlines best operating times to different regions of the world. 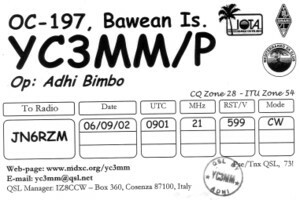 I'm sure we'll be able to have 3 band QSO's. During the day I'll be on 10m, 12m, 15m and 17m and in the early evenings on 17m and 20m all with beam headings favourable to JA. How are you? 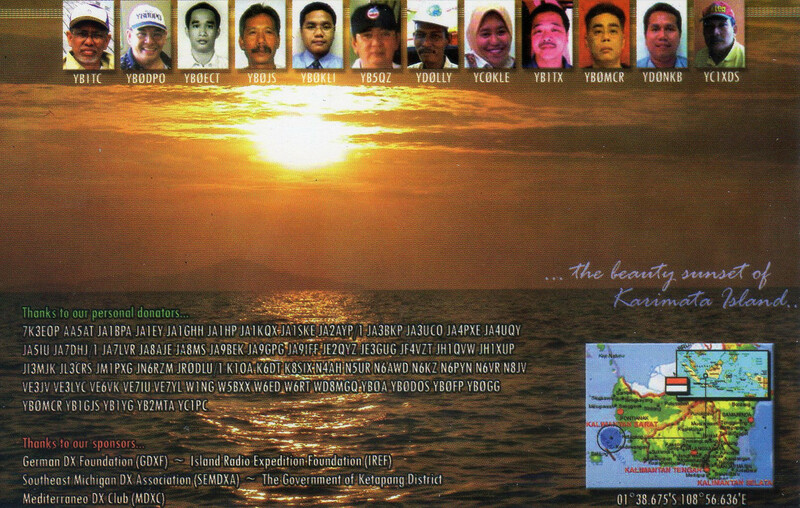 Hope you are doing just fine. 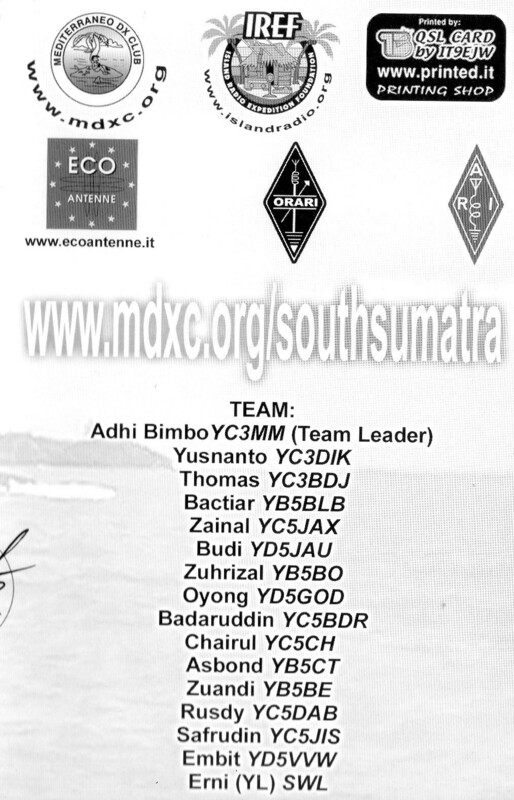 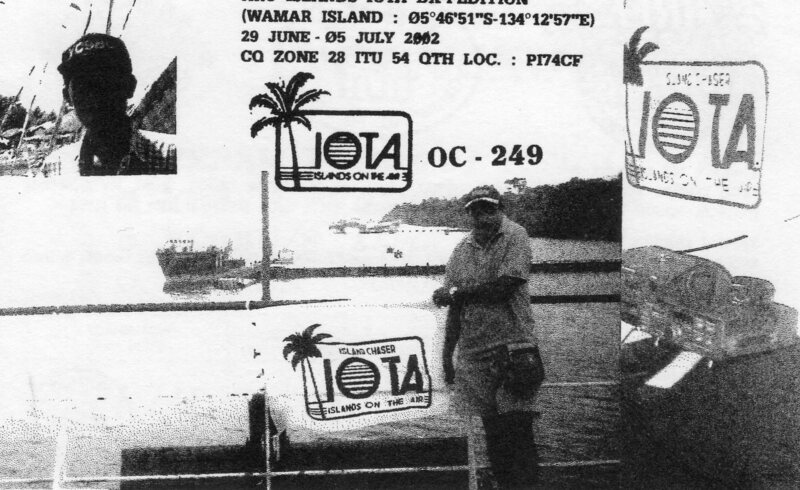 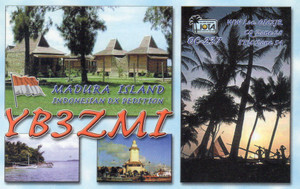 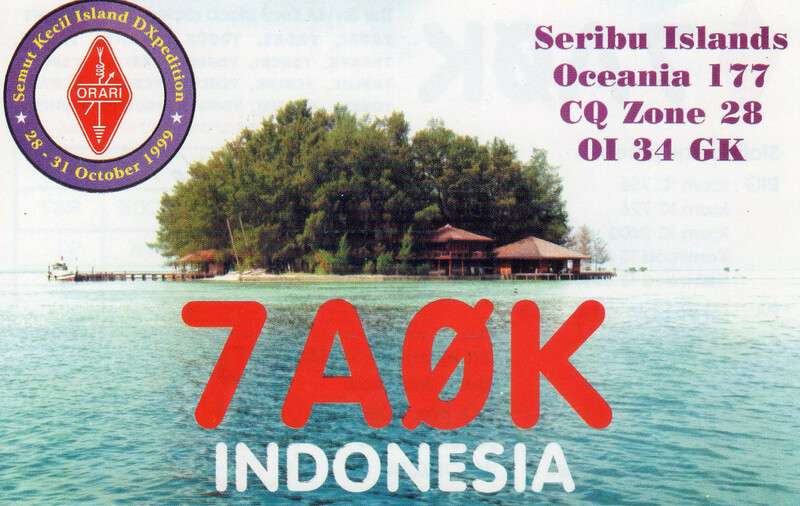 Indonesian Amateur Radio Organization (ORARI) is having a plan for DXpedition at Ohoiew Island OC-221 Moluccas Indonesia. 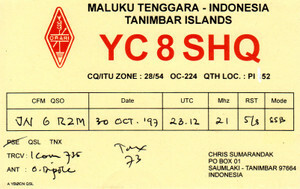 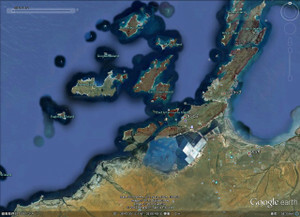 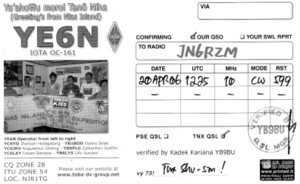 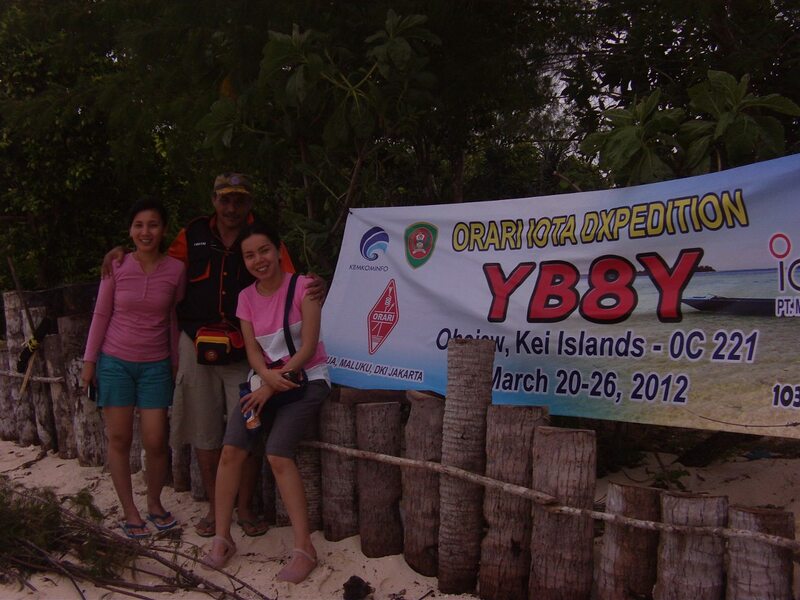 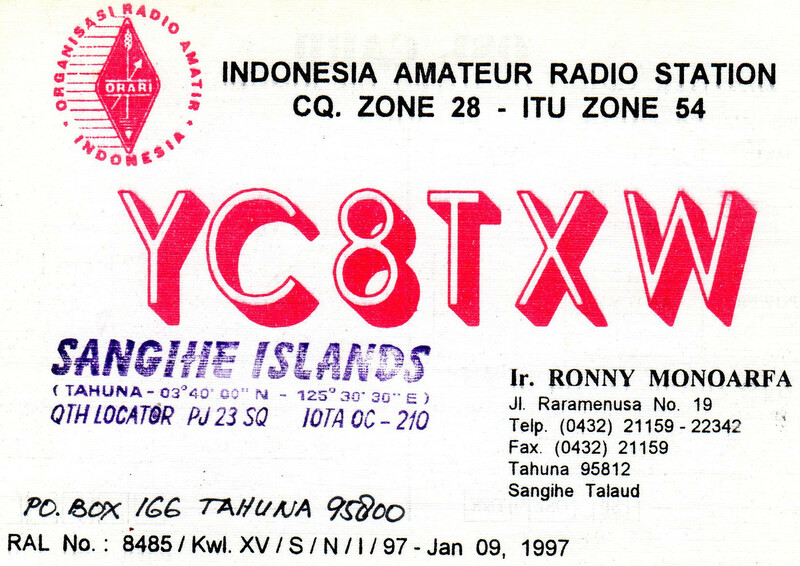 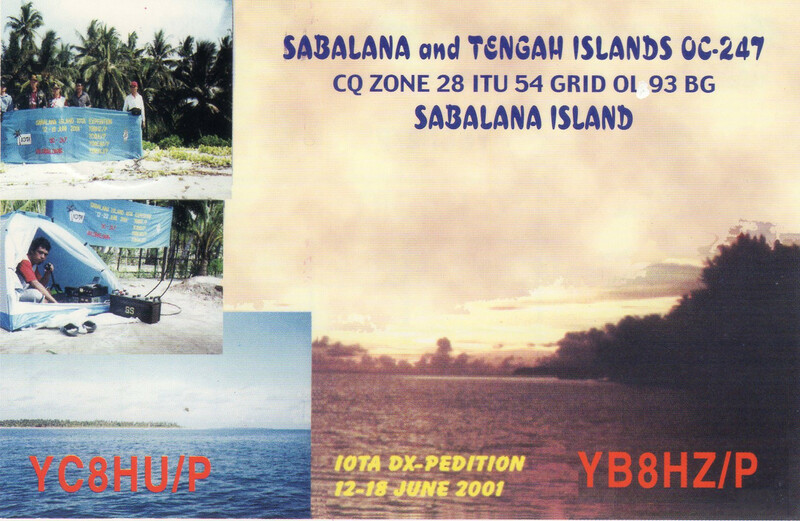 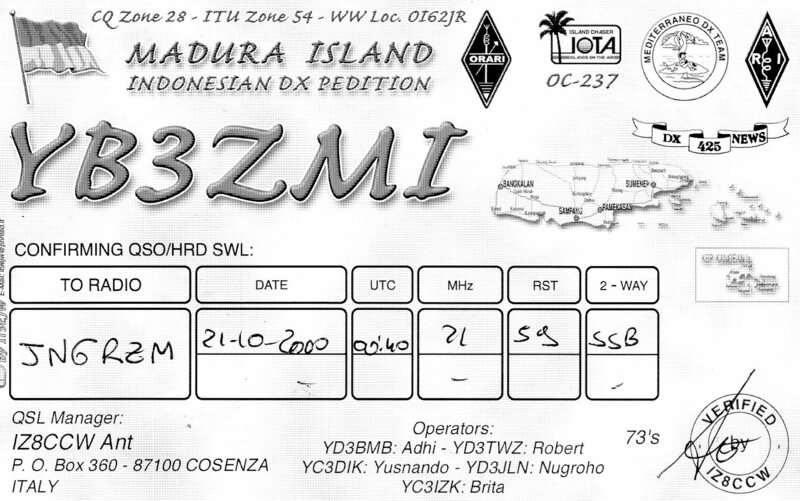 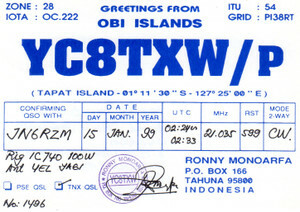 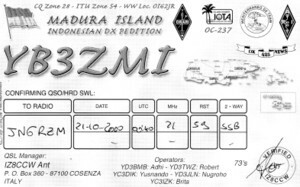 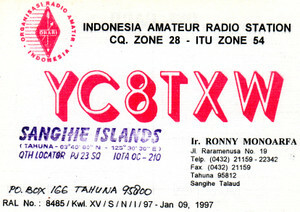 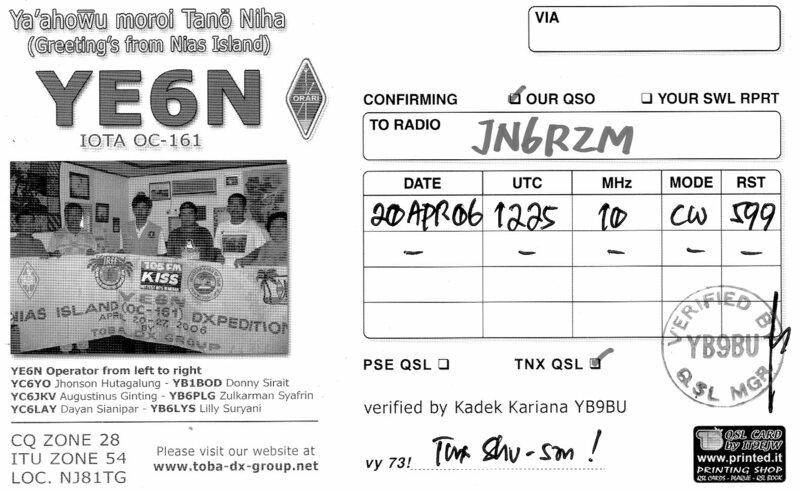 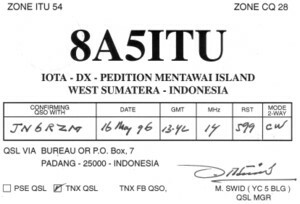 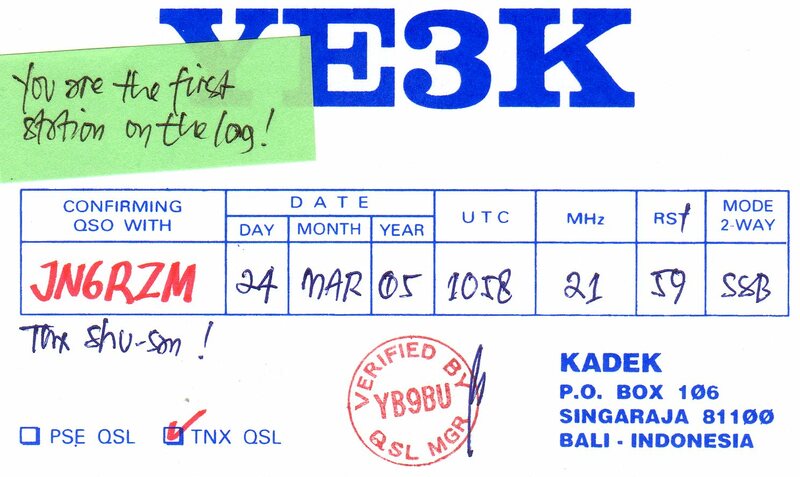 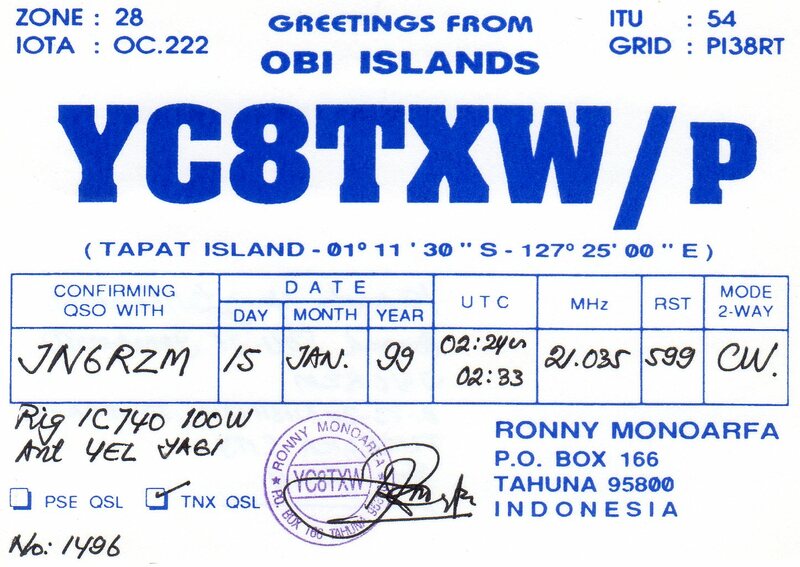 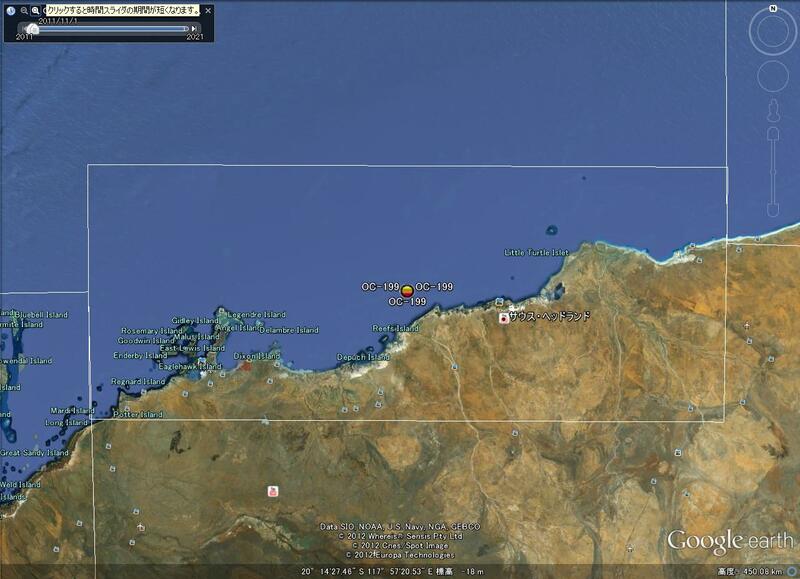 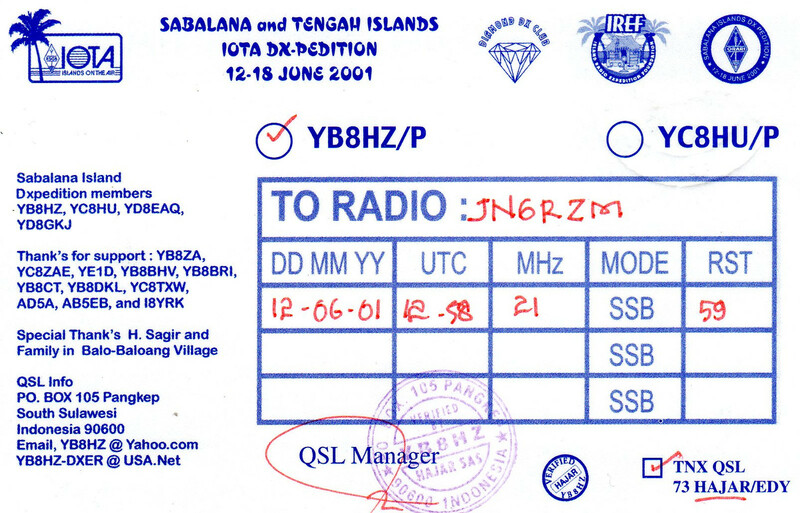 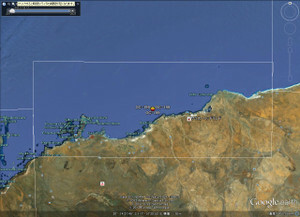 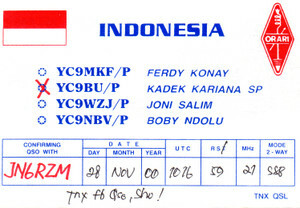 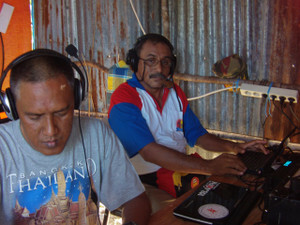 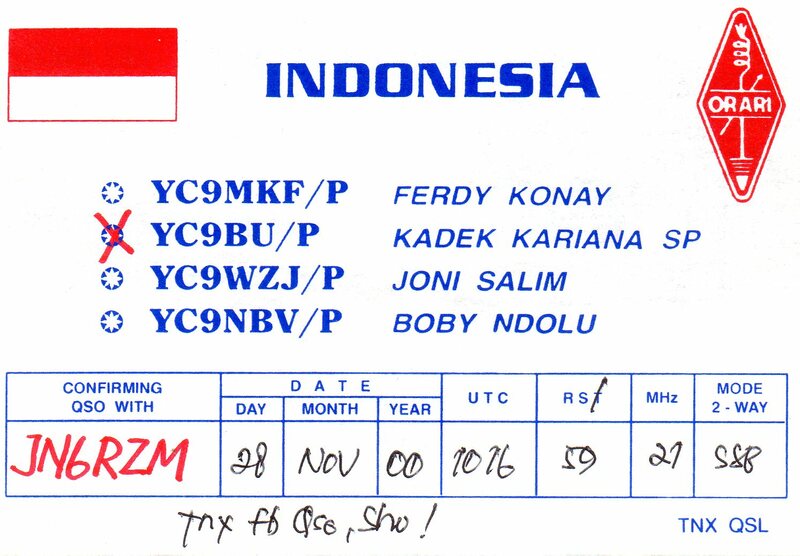 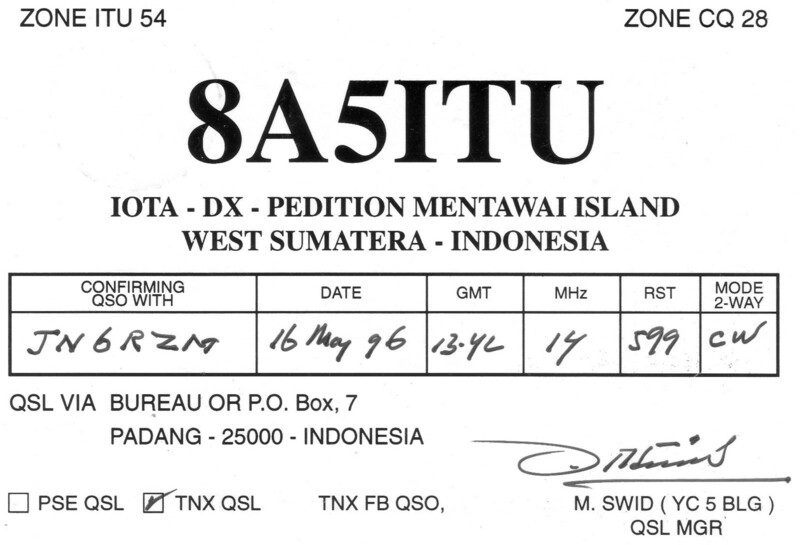 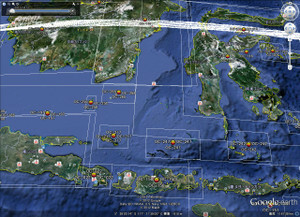 Plan to QRV on 20 March – 26 March 2012 and using callsign YB8Y. 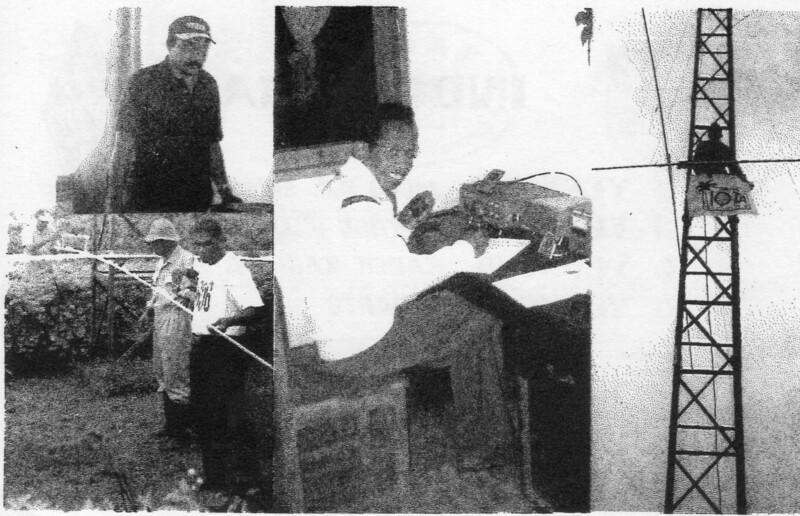 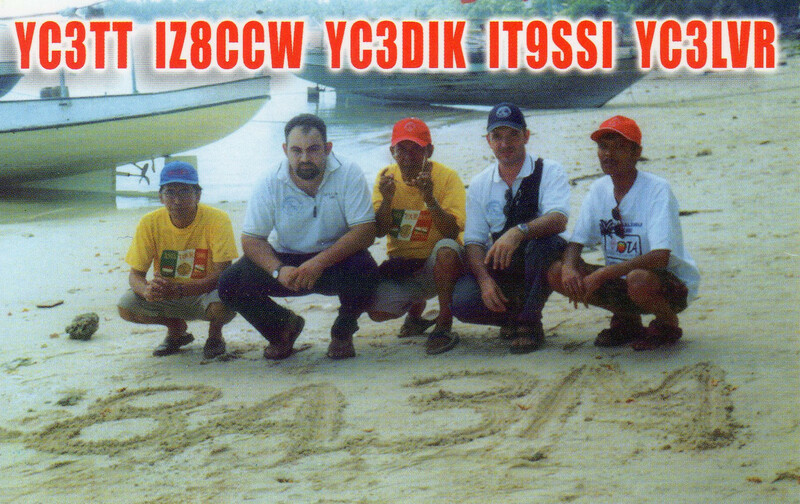 We also will participate in CQ WPX SSB contest. 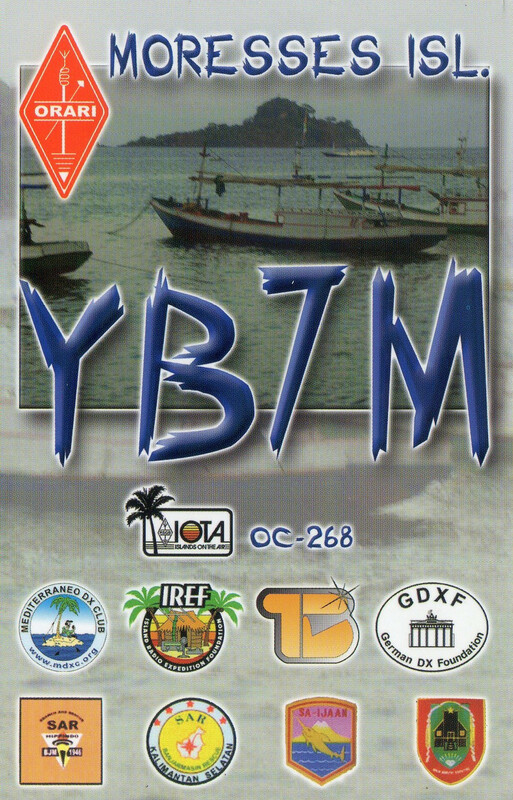 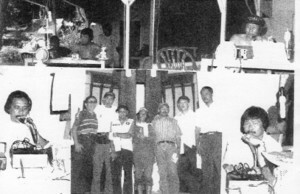 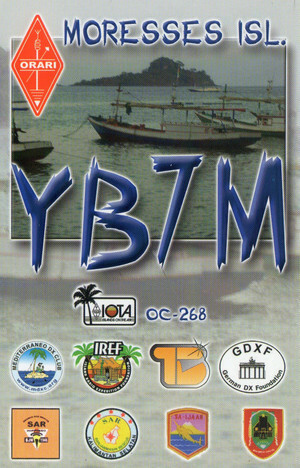 Operators are : YB0AKM, YB0AZ, YB0JS, YB0ECT, YB0KVN, YB0BUI, YC0MXV, YC0LOW, YC0TSU, YB1CCF, YB1GJS, YD1XUH, YD1GCL, YD1MRI, YD1JZ, YB8XM, YB8VM & JA1PBV. 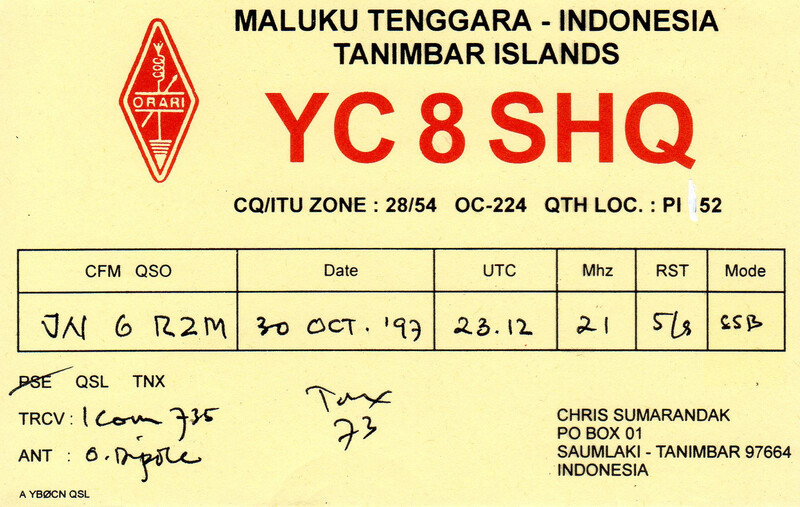 Radio : IC7000, IC775, IC718 (2 pcs), IC756PRO3, IC746, K3 ELECRAFT, FT1000MP, FT450D, TS930S, TS430 (2 unit). 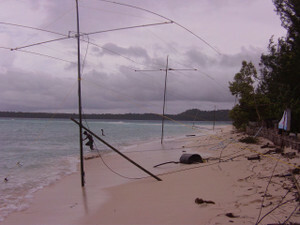 Linear : Emtron DX3, Acom 1000, TL-922 (2 unit), Tokyo high power. 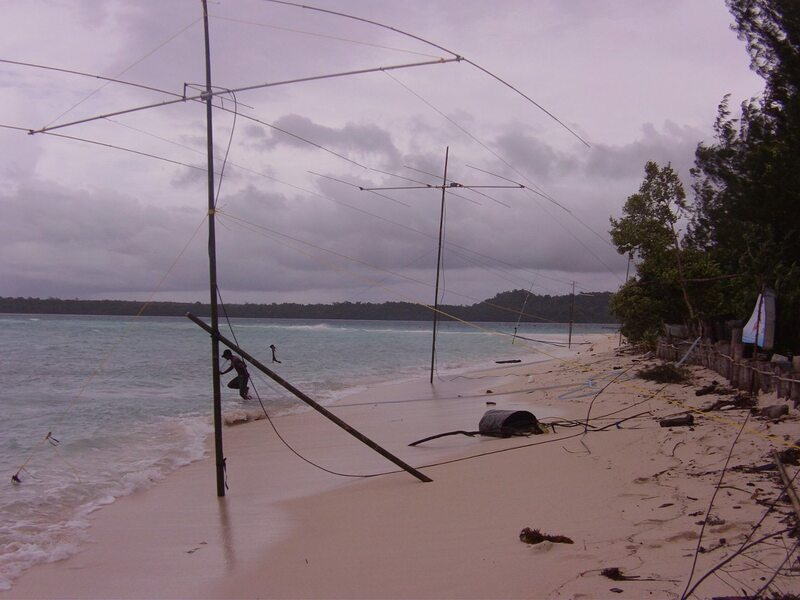 Antena : Vertical / dipole wire for 160 & 80 M plus RX antenna system. 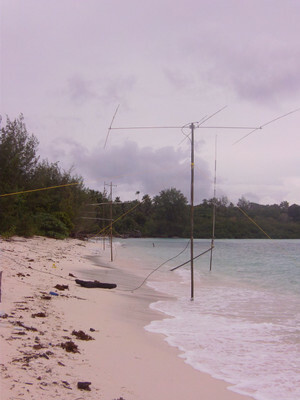 Tubing Dipole for 40 & 30 M. Monoband Yagi 3 elements for 20, 17, 15, 12, 10 M.
Plan to QRV on all bands including WARC with mode CW, SSB and RTTY. Please kindly visit to our website www.yb8y.com for your reference. 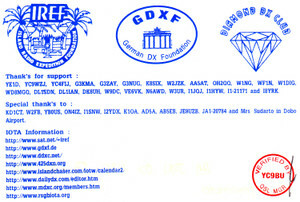 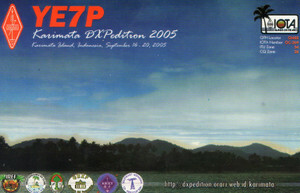 Would you please kindly advise whether you would like to support to donate for this DXpedition? 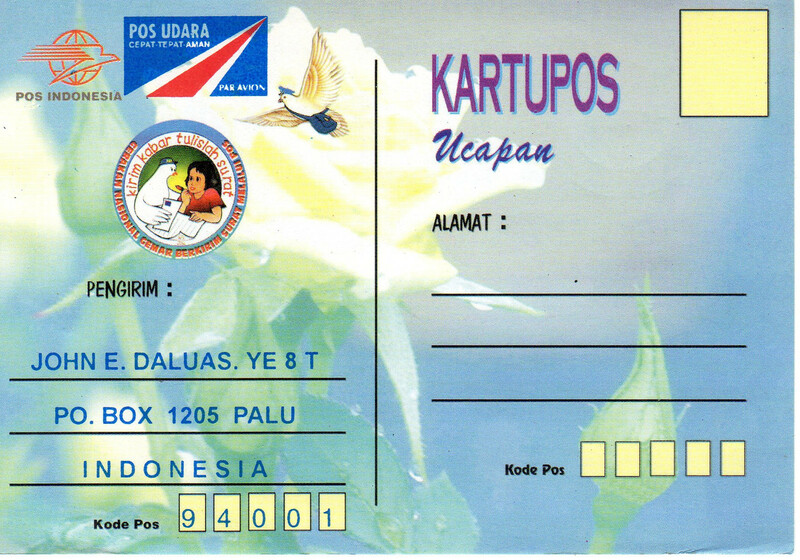 Very much appreciate for your kindly cooperation and support. 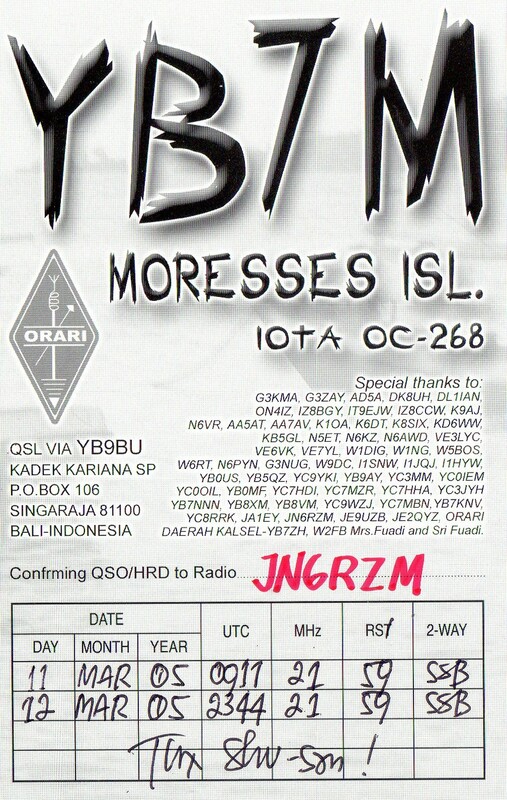 Anyway, Makoto/JI5RPT/6 worked domestic Island service for JAs. 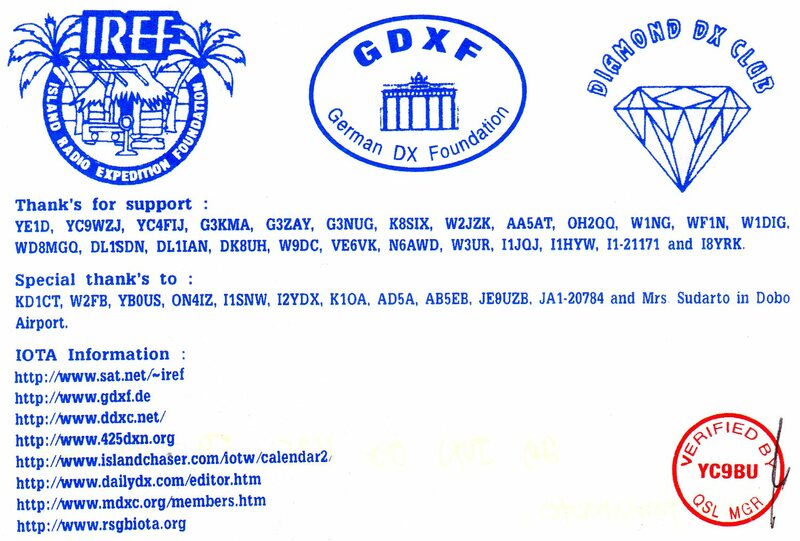 I said to him "Please pick up your info to DXnews by me"
He replayed to me "Don't worry. 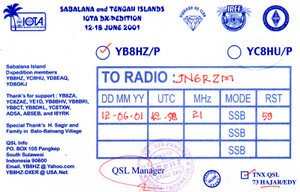 It's my job"
I have fogotten his QRV yesteday. 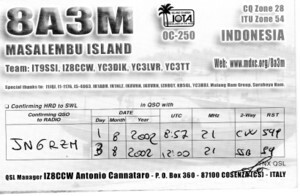 I caught his info on J-cluster 3rd Mar at 0430UTC. I worked him on 40/30/20m from 0434 to 0525UTC. 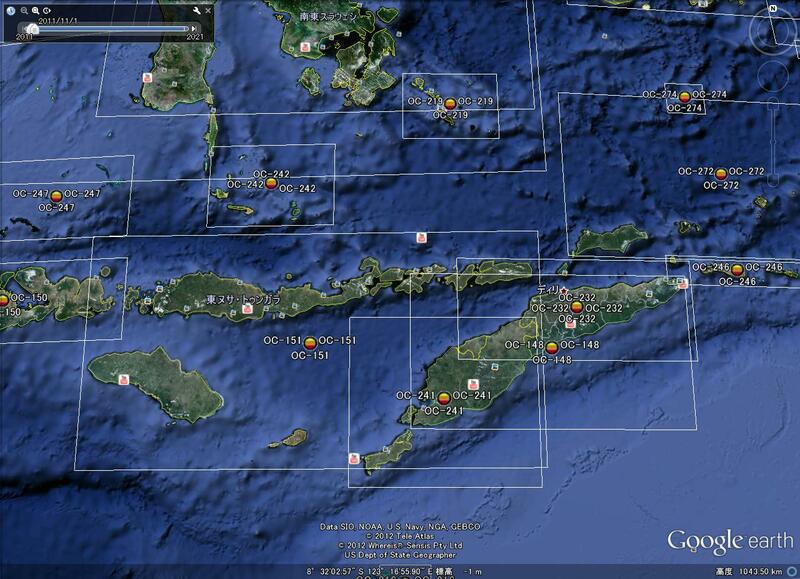 If you can, please always check J-cluster. 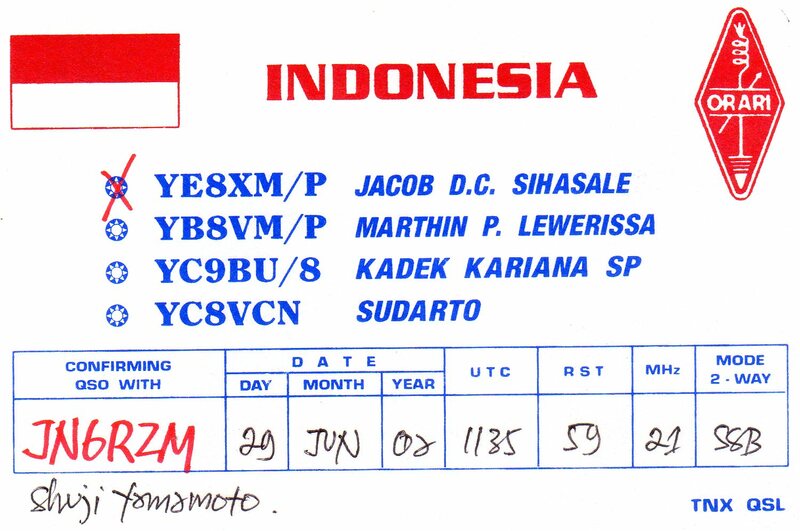 here is Japanese language. 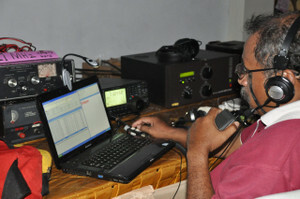 But you will be able to get his QRV information time to time. He will be QRV till 0600UTC 4th Mar. 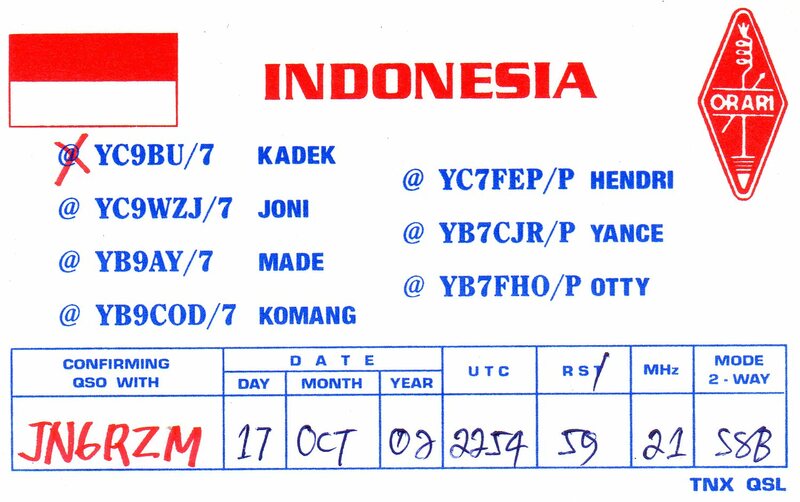 When I will catch his callsign, I send you his QRV infos. 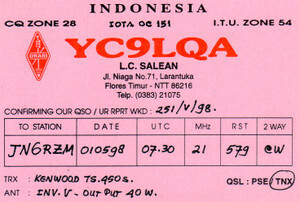 to get going on CW as well 40 through 10 metres. Indonesia, since there is no award like this in Indonesia. 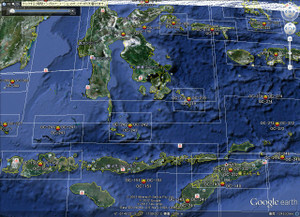 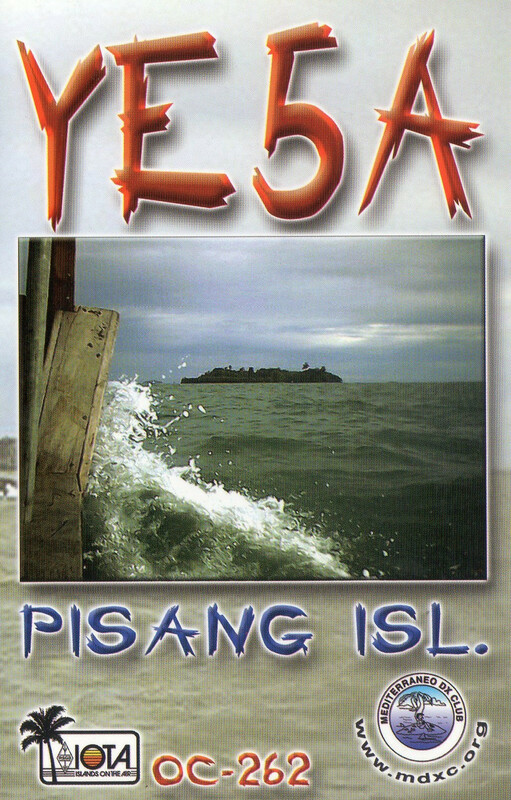 Maybe the name will be "Indonesian Island Award"
Do you interest of that kind of award? 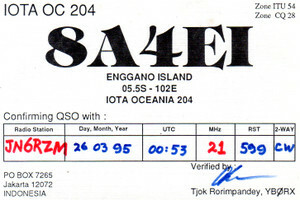 Grid: FN41io. 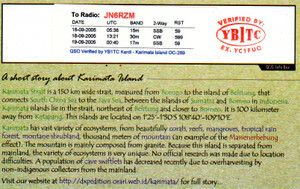 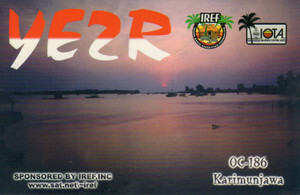 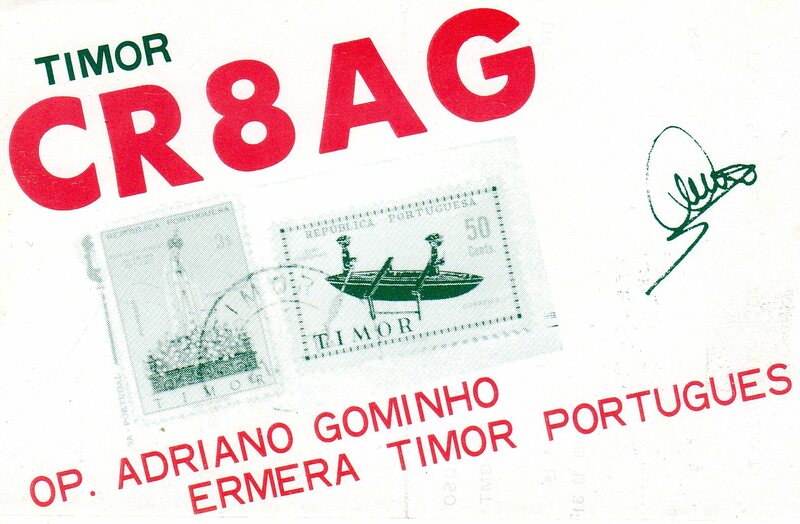 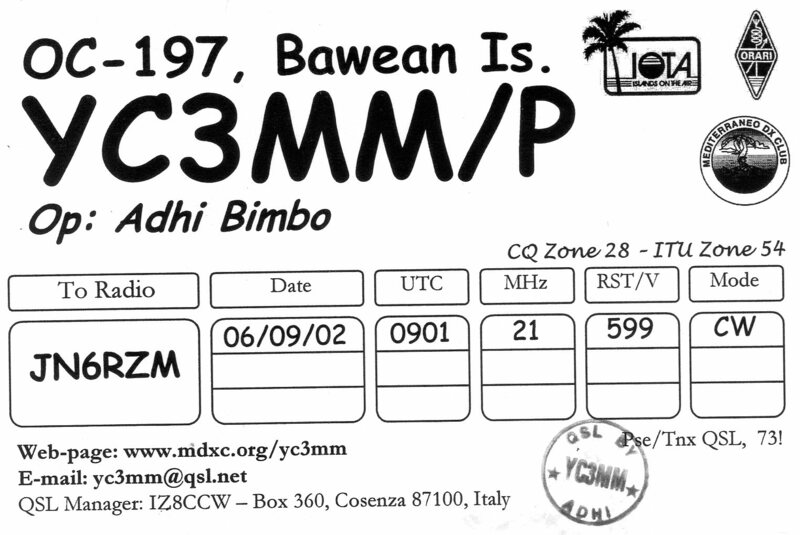 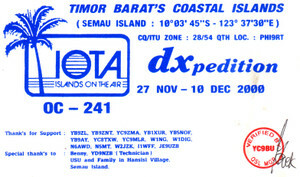 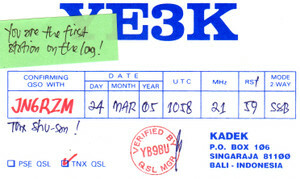 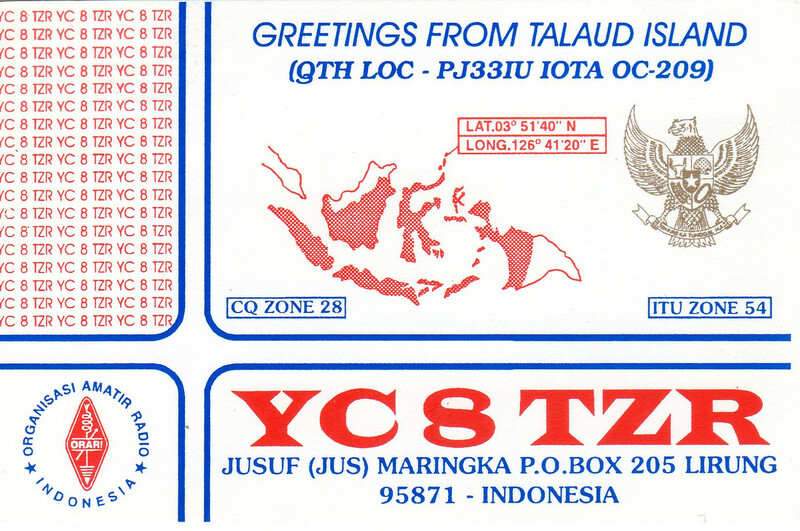 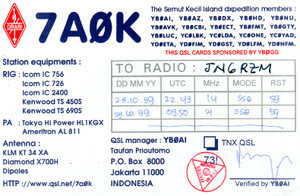 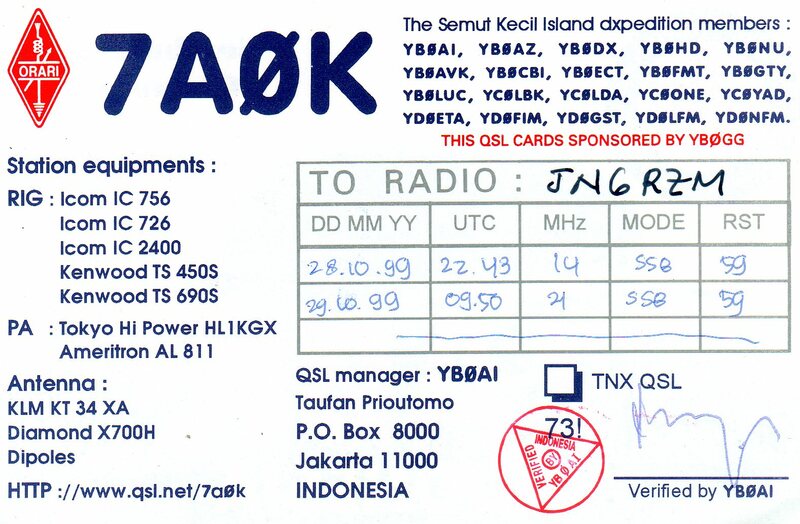 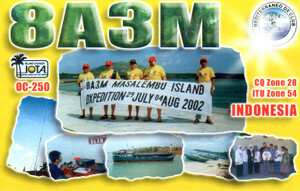 QSL card info: direct per QRZ.com instructions or via Buro. 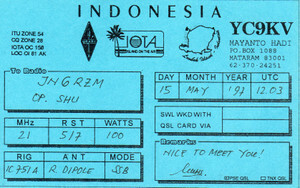 I regularly upload my logs to ARRL Logbook of the World (LoTW). 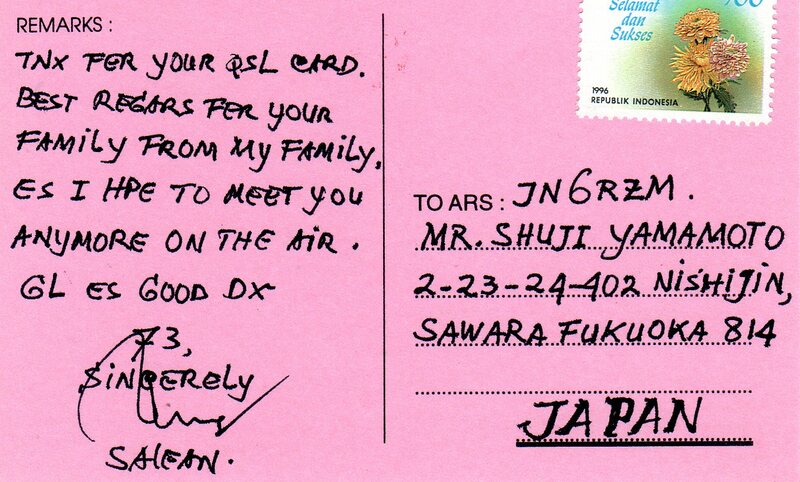 I look forward to many future contacts with new friends from JA/Asia. 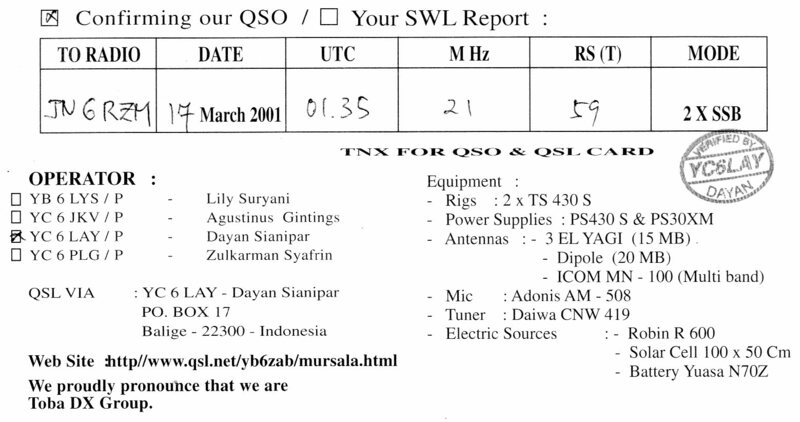 BA7JA, do you know his information? 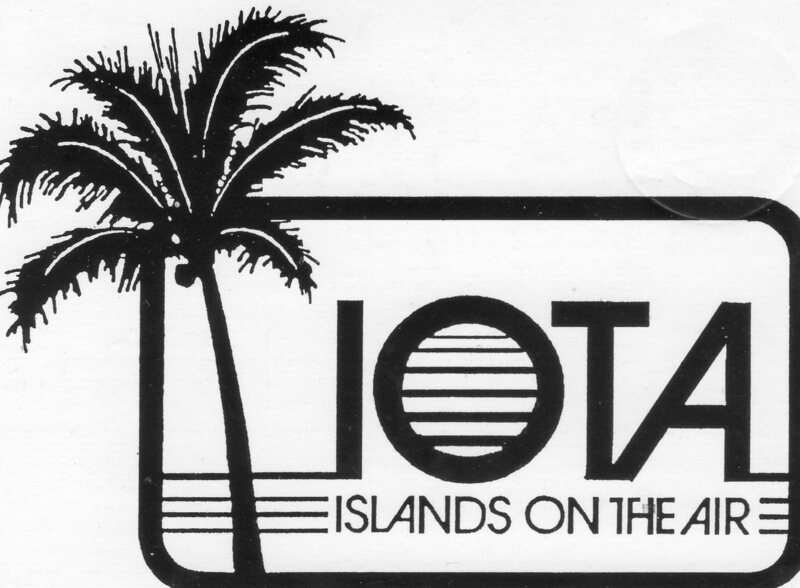 I am enjoying for IOTA chasing from May 1997. 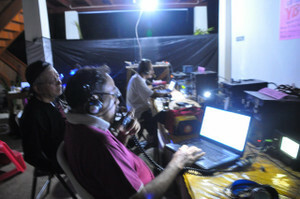 And I am using IC-7400 100watts and fishing-rod type up above 12mtrs hi from my verandar. 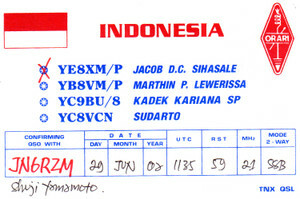 I am perfect confirmed for his all QSLs. 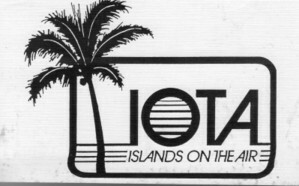 Anyway,I am also supporting for IOTA chasing. 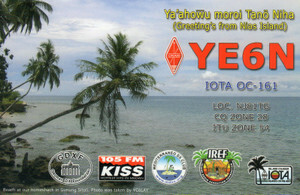 Eapecially, I have supported to receiving QSL for Japanese friends. 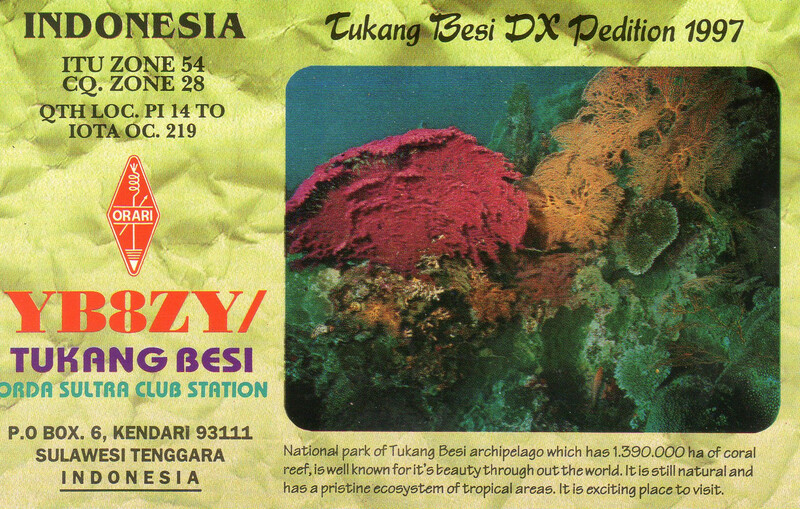 I had found another QSL mgr for AS-143 BI7Y via BY1DU Alan. 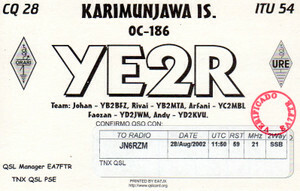 He is operator in AS-143 with Yang/BA1JA. 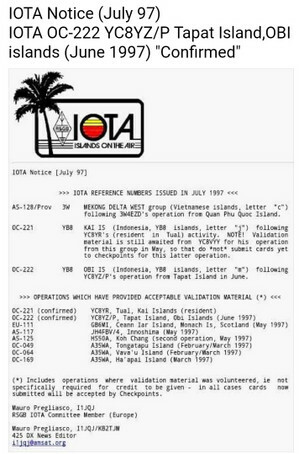 So I am trying for this information to BY's friend. 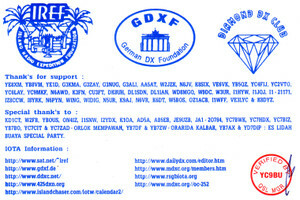 Please QRX and I pick up this e-mail on my Blog.